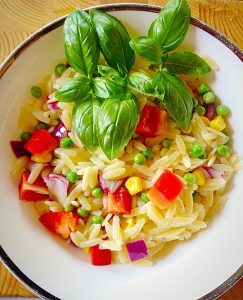 Although there are plenty of sweet recipies here on the blog, I personally have a preference for food that is more savoury. Following a meal I am far more likely to go for the cheese board than a dessert. While my family will pick a delicious, sweet treat. 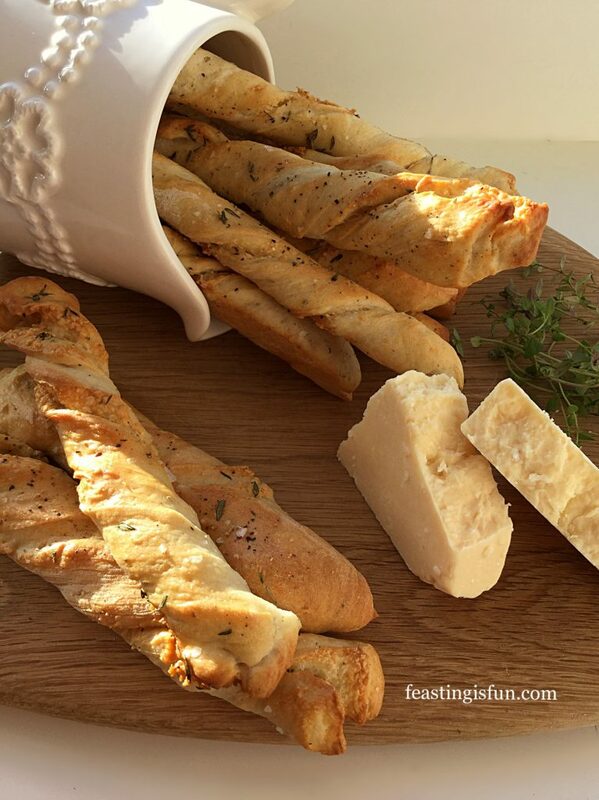 Also, at parties I much prefer something salty and savoury over their sweet counterparts. 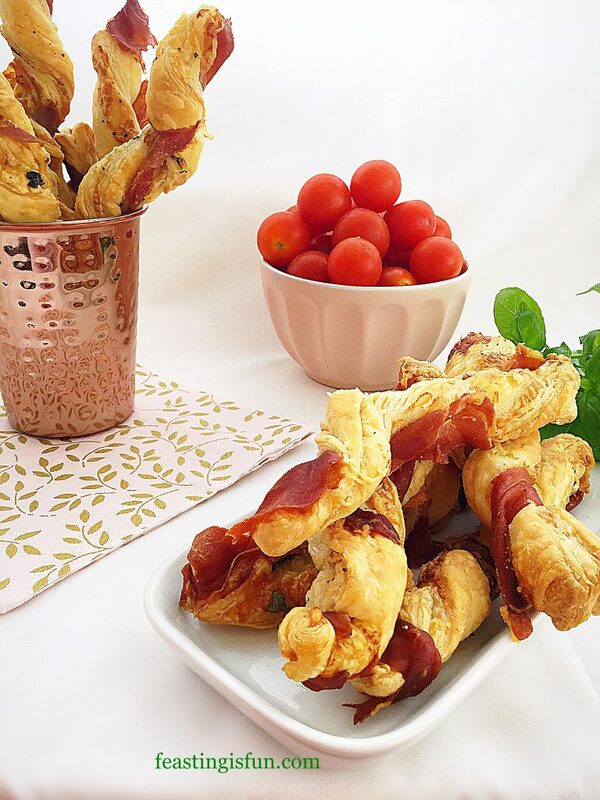 My Prosciutto Wrapped Cheese Puff Pastry Straws tick all of my preferred flavour boxes. So much so that I ate three as soon as they were cool enough! 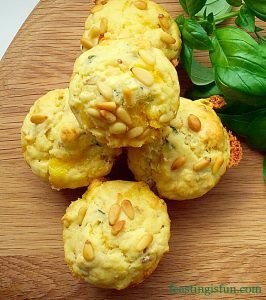 I have deliberately made this recipe not only easy, they can also be made ahead and kept refrigerated or even frozen. 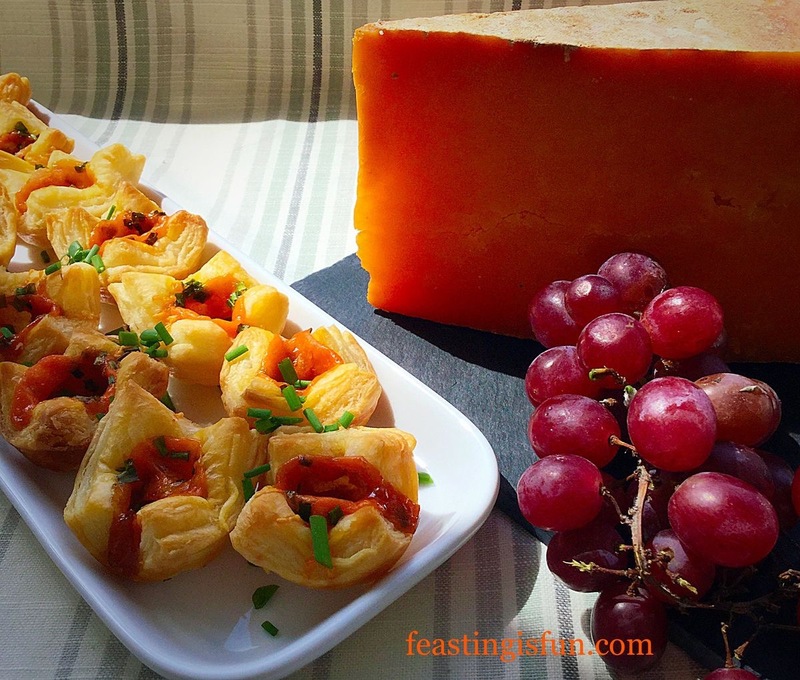 Since party food tends to involve lots of little morsels I wanted to take out the stress and leave more room for fun. Because that’s what a party should be. Whether it’s drinks with friends or a full on family bash, these straws are a perfect addition to the occasion. 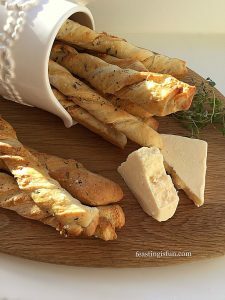 So incredibly easy to make and bake, these straws are filled with grated cheddar and fresh basil. Followed by a strip of Prosciutto ham that is twisted with the cut straw and then baked. 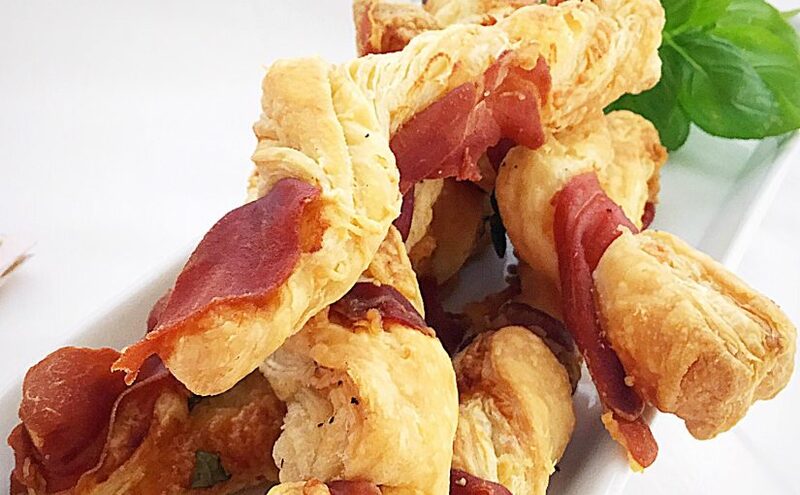 While baking the Prosciutto becomes crisp and salty on the outside with melting cheddar and fresh Basil inside. The hardest part of making these is not eating them all as soon as they are baked! 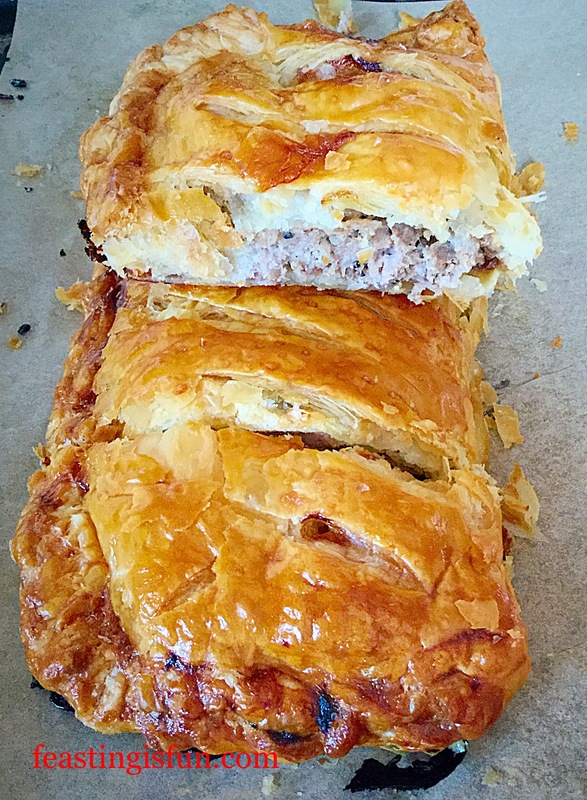 2 x 250g/14oz All Butter Puff Pastry – I use Waitrose own brand. 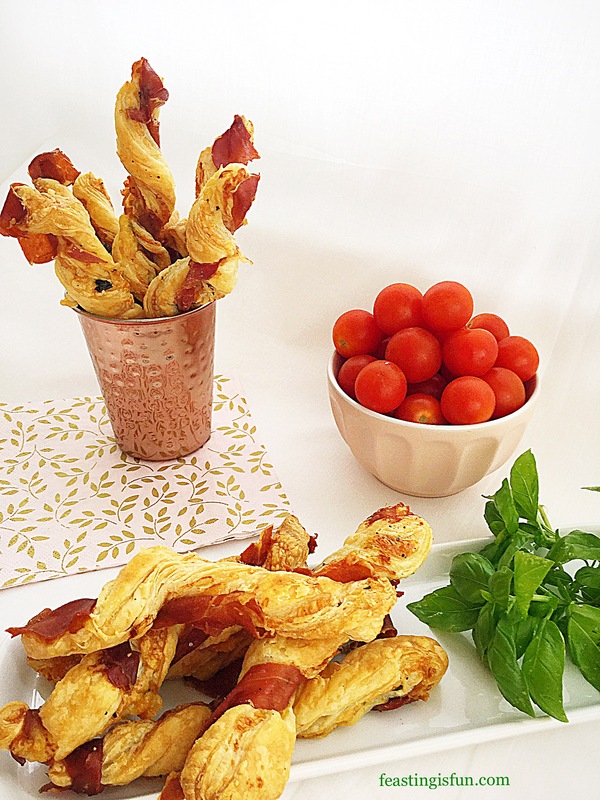 Alternatively use ready rolled pastry, however you may need to adjust the cheese/basil/prosciutto quantities. 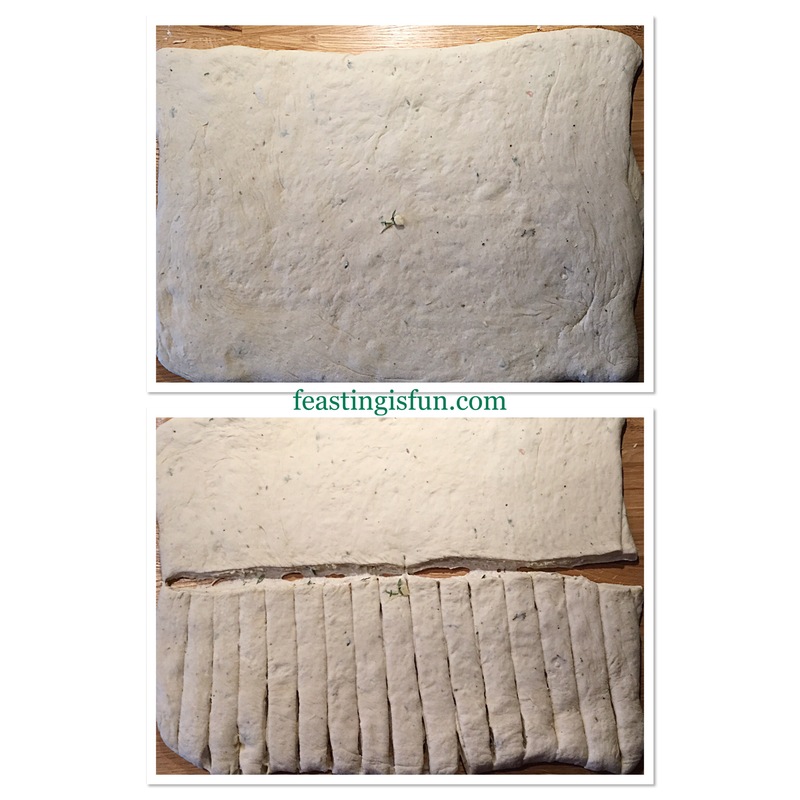 Roll the first block of puff pastry into a square, approximately 30cm x 30cm (12in x 12in). 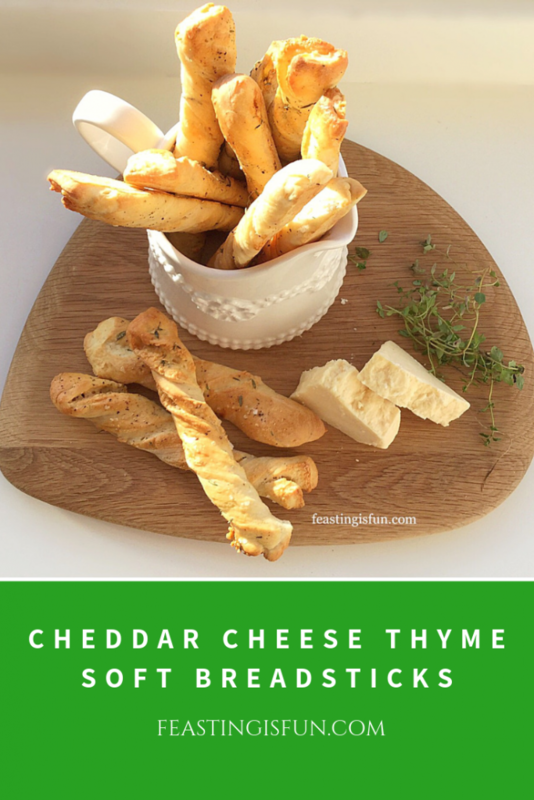 Sprinkle half the grated cheddar over the top half of the square. 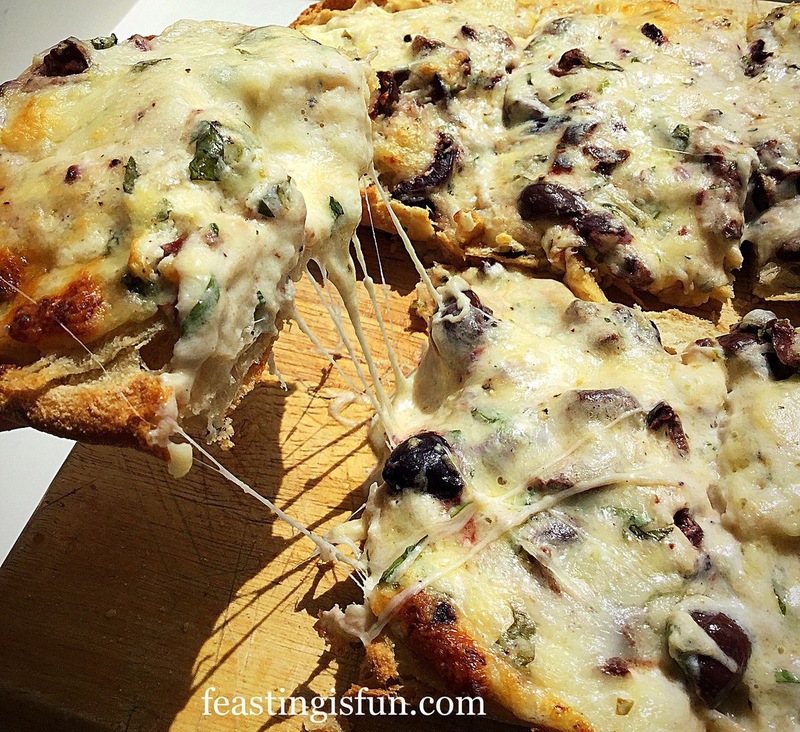 Place half of the fresh basil leaves on top of the cheese. 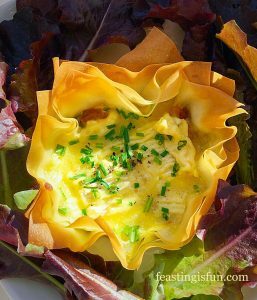 Fold the bottom half of the pastry up over the cheese and basil. 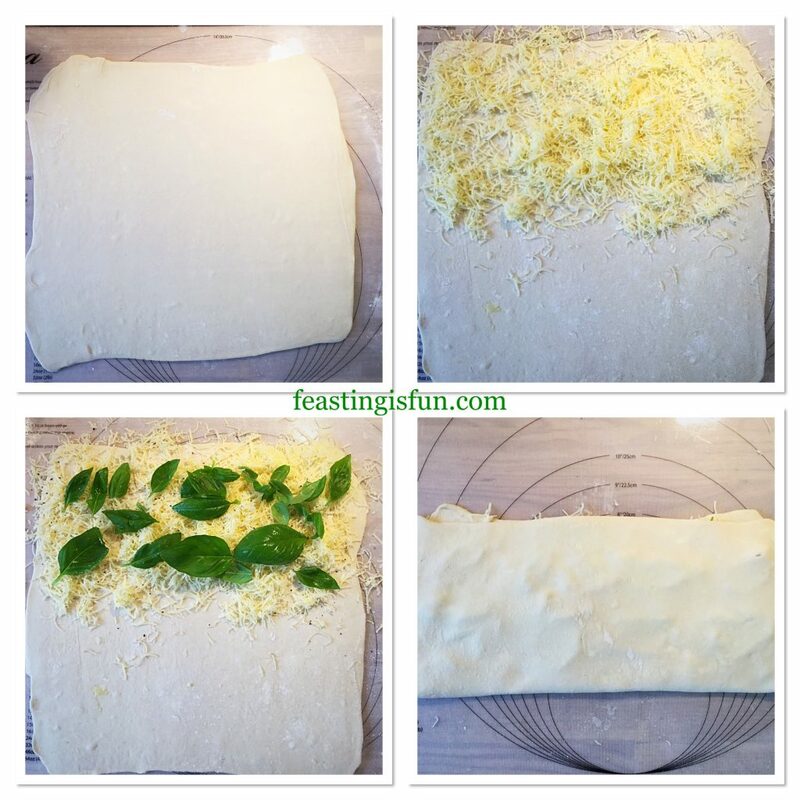 Filling the pastry with cheese and basil. Using a rolling pin roll the pastry so that it flattens and becomes smooth. 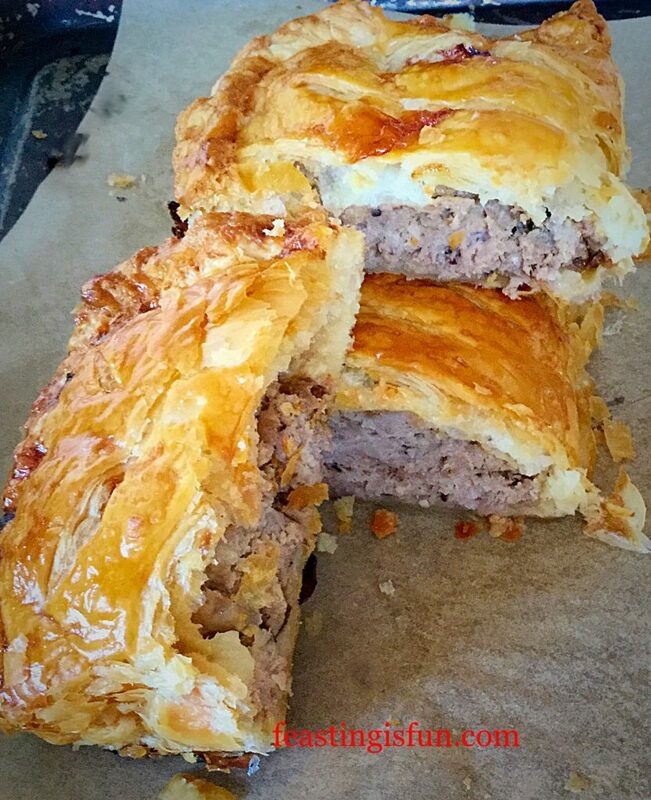 Divide the pastry in half using a sharp knife. Then cut each half in half again, you will have four separate pieces. 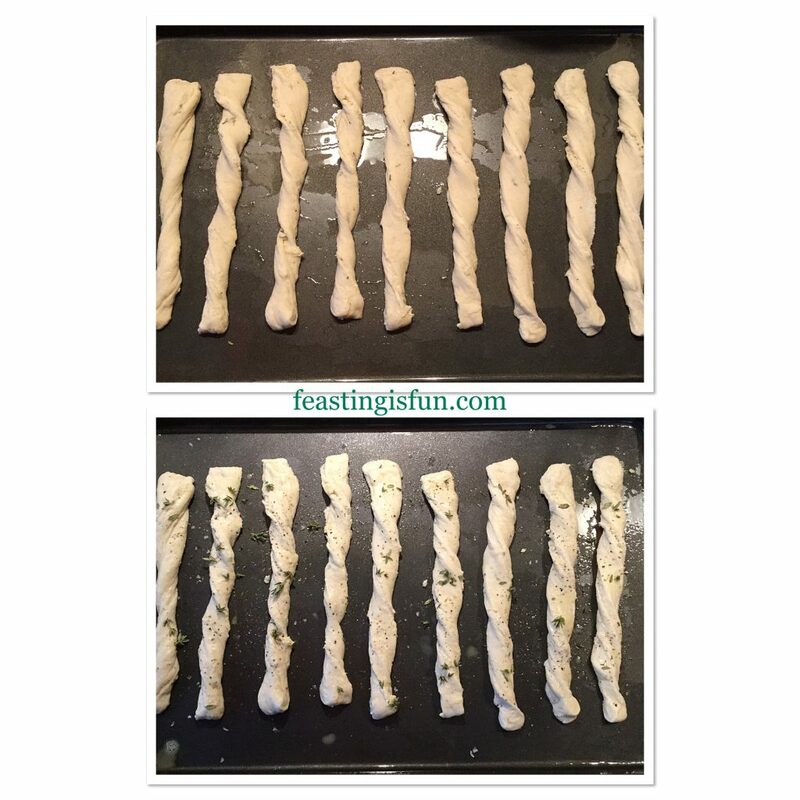 Cut each quarter into 3 strips. Resulting in 12 straws. Tear a piece of prosciutto ham in two lengthways. Place the ham on top of a straw and press at both ends so it sticks. 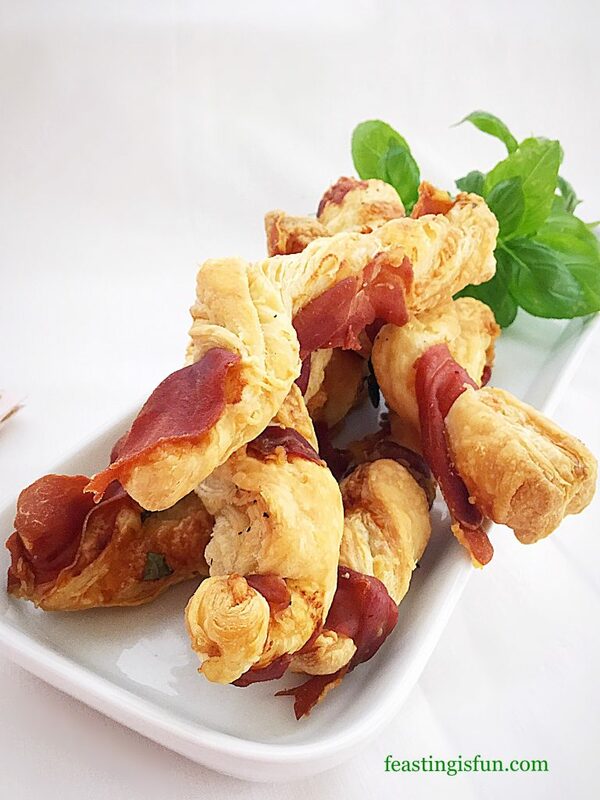 Using both hands twist the pastry so that the prosciutto wraps around. 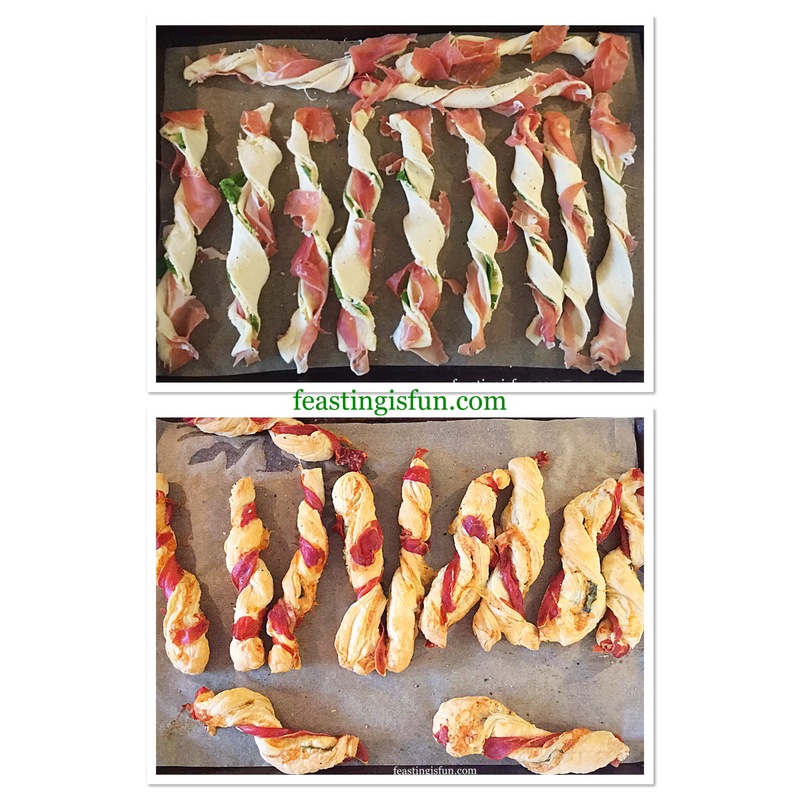 Place the twisted pastry on to a baking sheet. Repeat with the rest of the straws. Roll out the second block of pastry and repeat the process again. 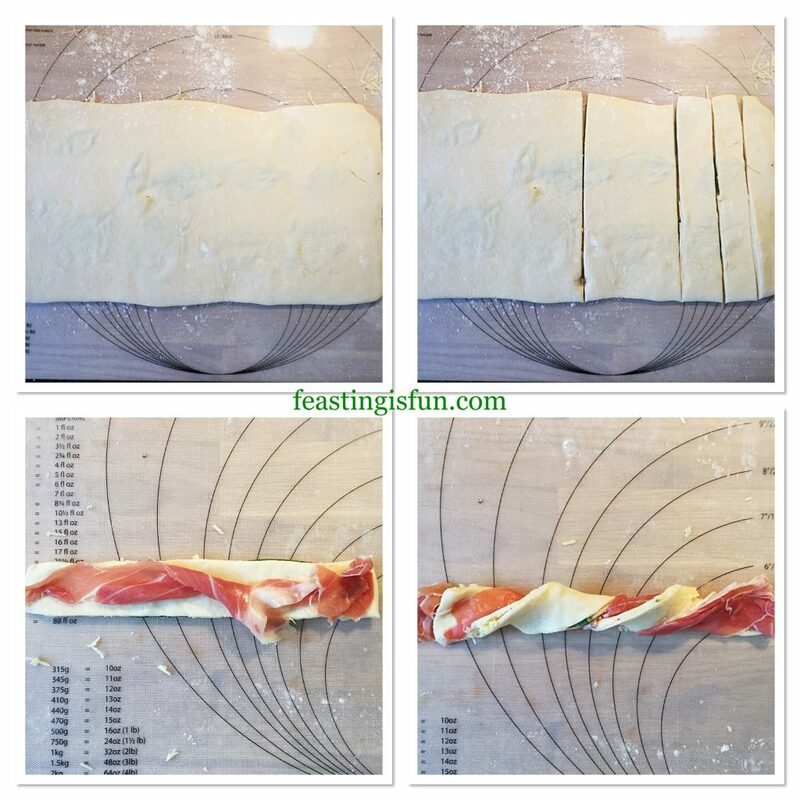 Cutting the straws and wrapping with Prosciutto. 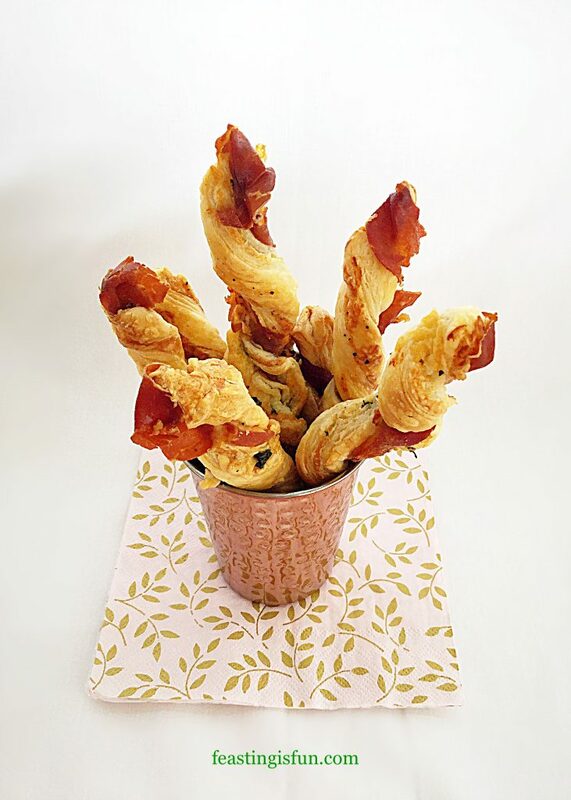 Place the baking trays into the oven and bake for 20-25 minutes until the pastry is golden and the prosciutto is crisp. 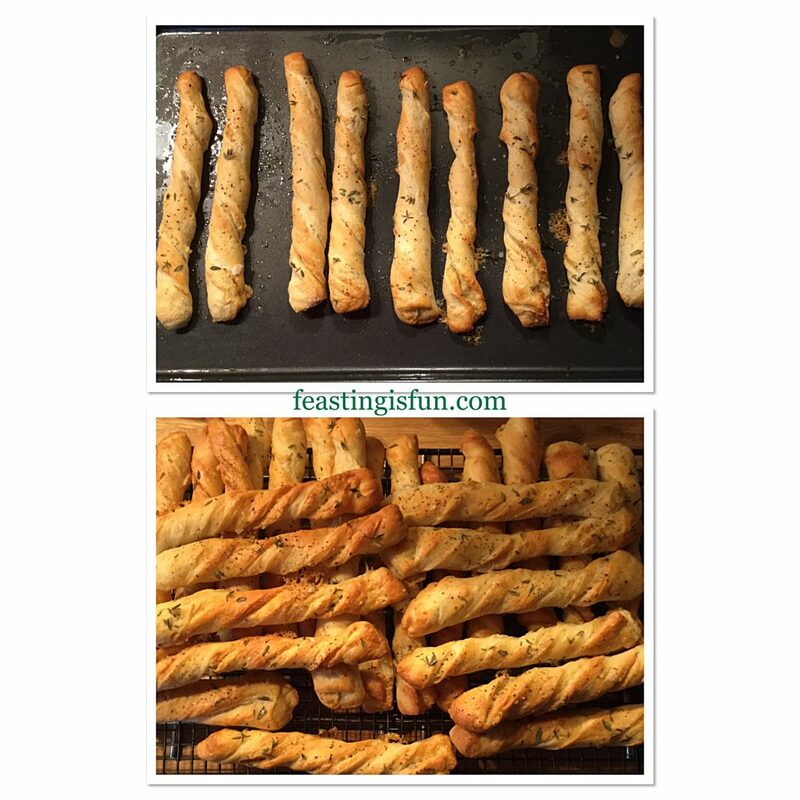 As soon as the straws are baked remove from the oven. Note – if you are planning to freeze the straws, remove from the oven 5 minutes early when the straws are baked but have not much colour. Allow the straws to cool slightly before serving. 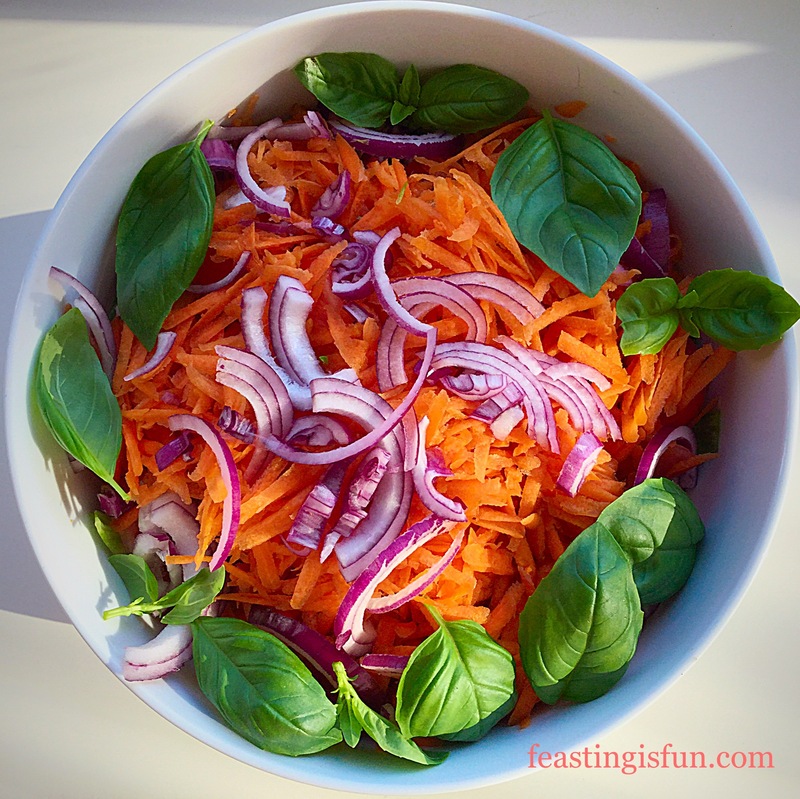 Cool, place in an airtight container and refrigerate for up to 2 days or freeze. 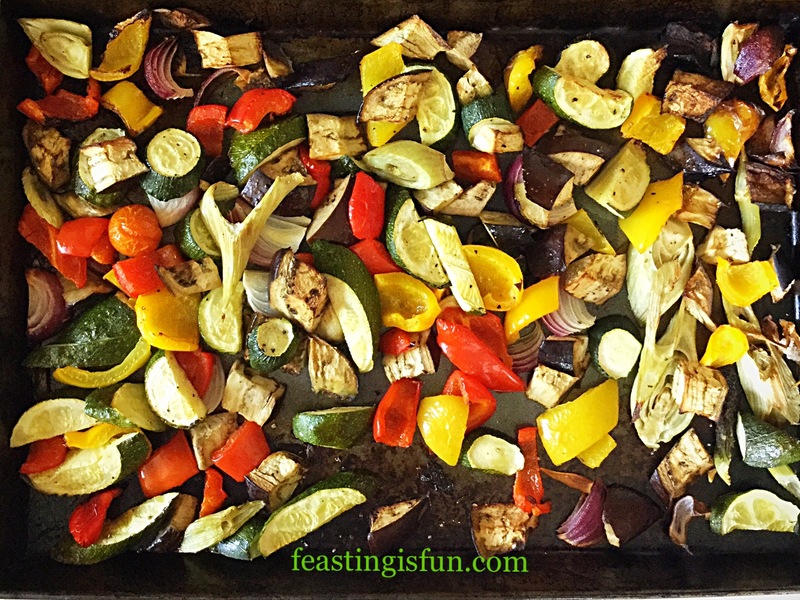 Reheat in a medium oven for 5-10 minutes. I love parties, whether I’m hosting one myself or going out. 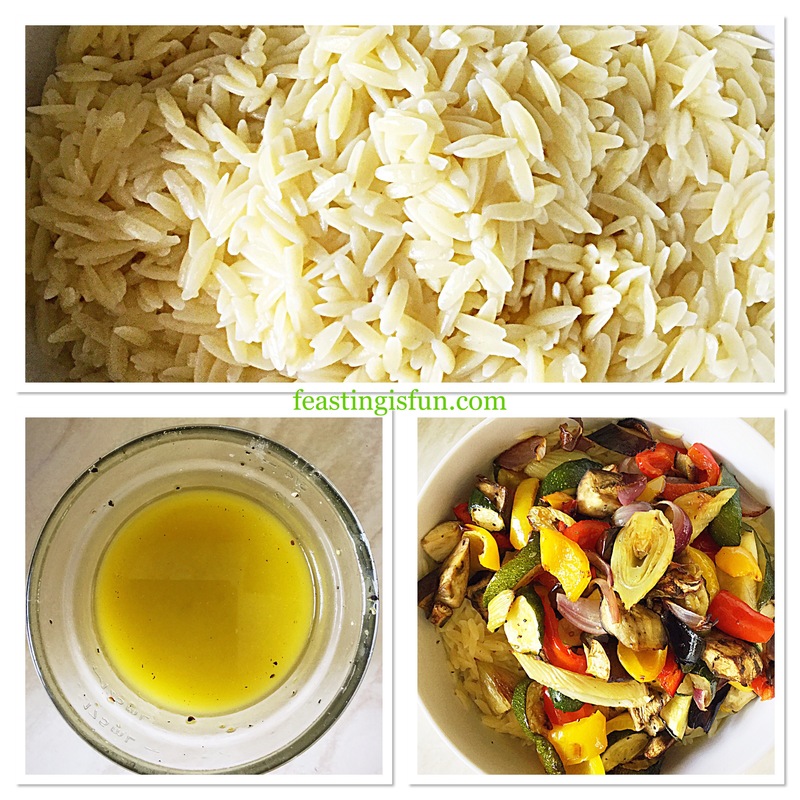 Likewise I appreciate recipes that are easy and travel well. These Prosciutto Wrapped Cheese Puff Pastry Straws are perfect for taking to a party or get together. Also, as they can be frozen I am planning on making a big batch prior to Christmas. 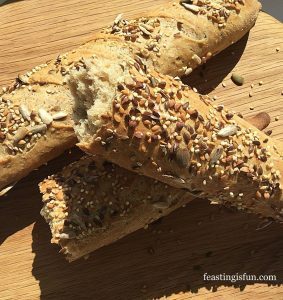 10 minutes baking from frozen and I have an instant snack and drinks accompaniment for when friends and family pop round unexpectedly! 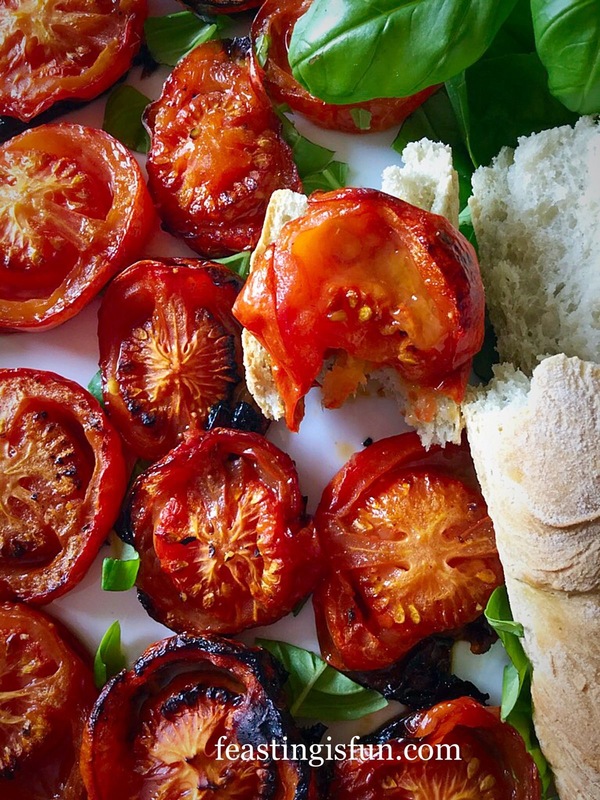 Some ingredients, when cooked together, simply bring out the best in each other. 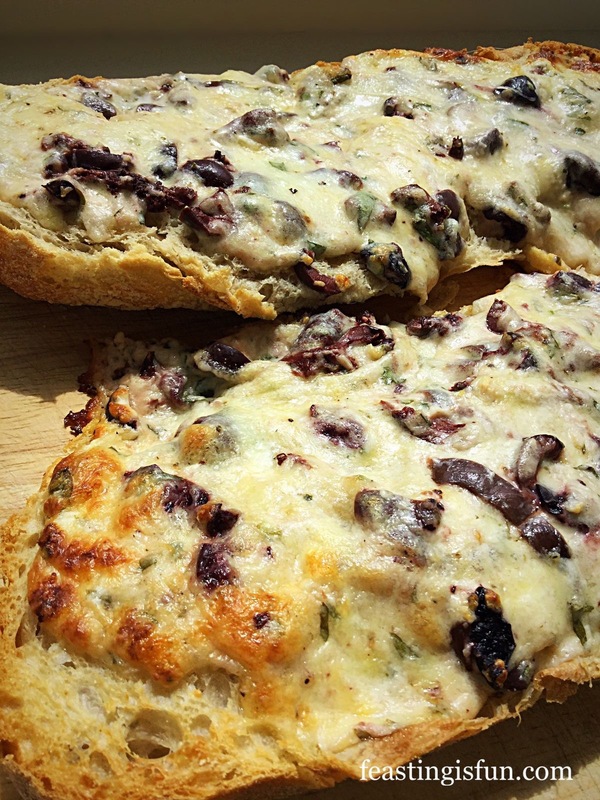 As is the case with this Walnut Pastry Crust Leek Stilton Tart. 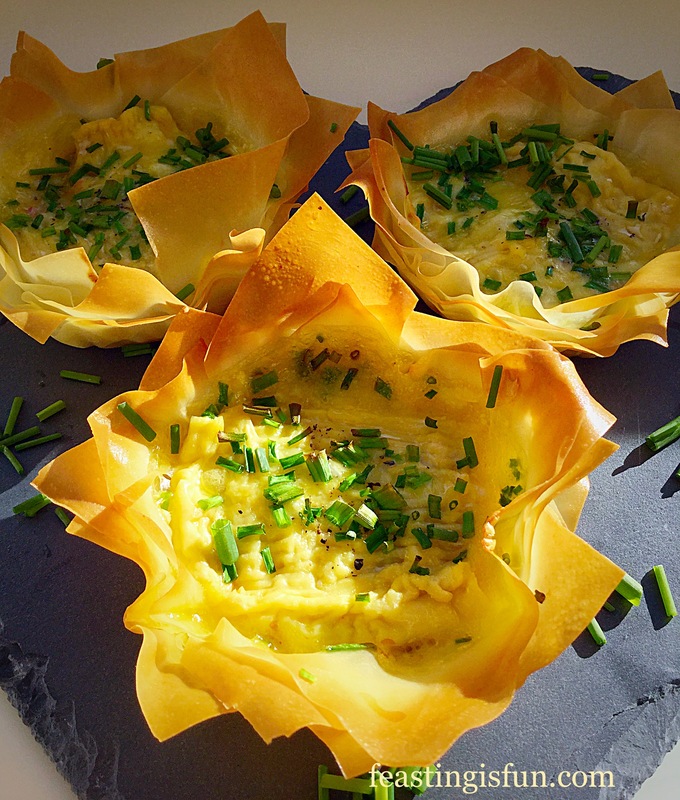 Also, the leek’s subtle onion flavour is enhanced by the crumbled Stilton cheese, in an egg and cream custard base. 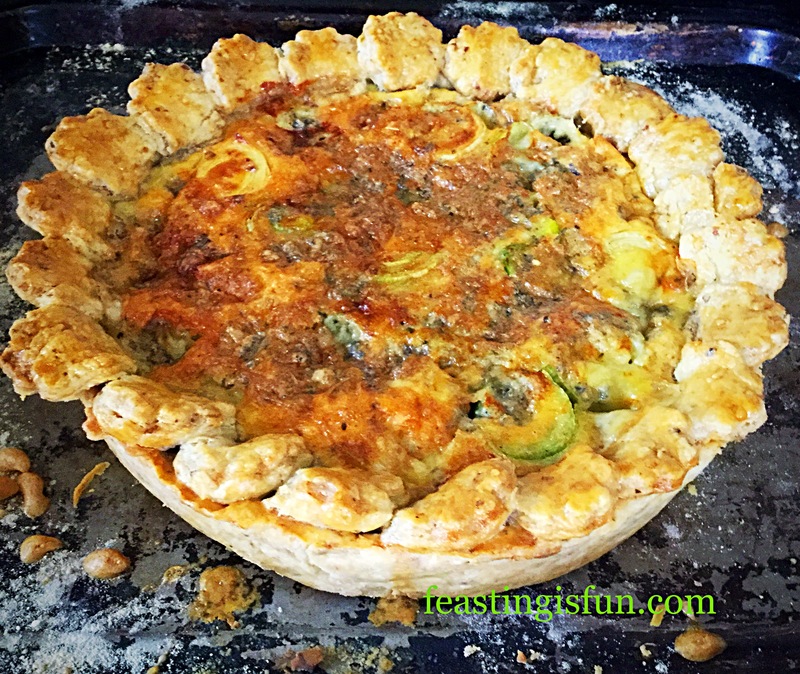 The nutty pastry crust provides the perfect crunchy texture and flavour. A delightful balance, that is a treat to our tastebuds. 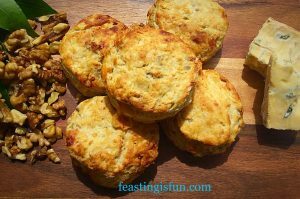 While the chopped walnuts give the pastry a rustic, wholemeal look, it is, in fact light and crumbly. Adding additional flavour to the finished bake. 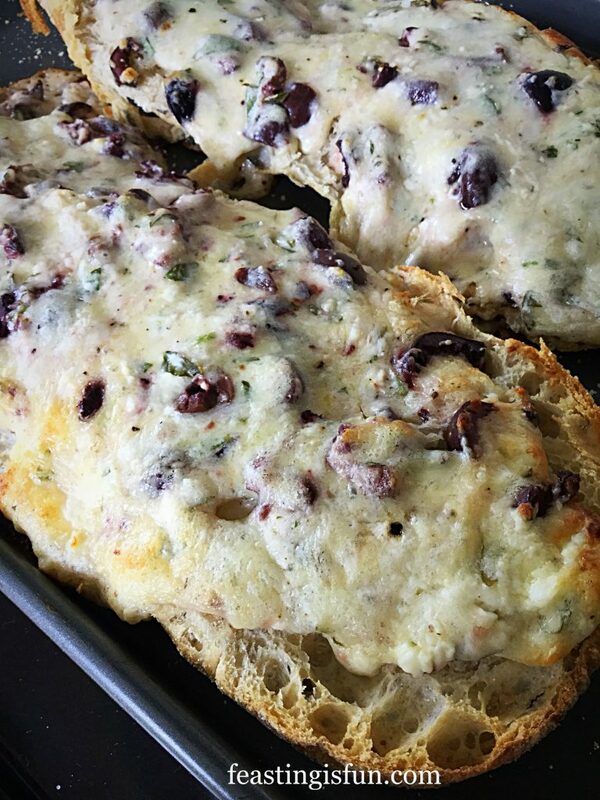 Likewise, the crumbled Stilton cheese mellows on baking. Providing a salty contrast to the mild egg custard. 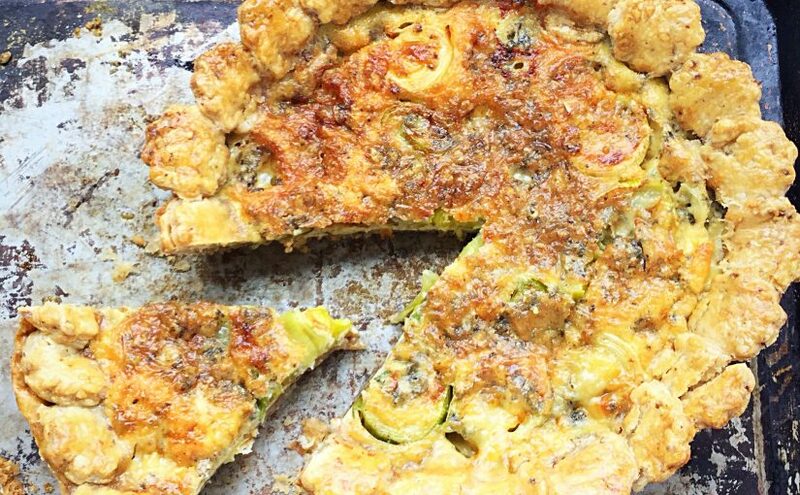 Surprisingly, the mild onion flavour of the leeks doesn’t get lost in this tart. 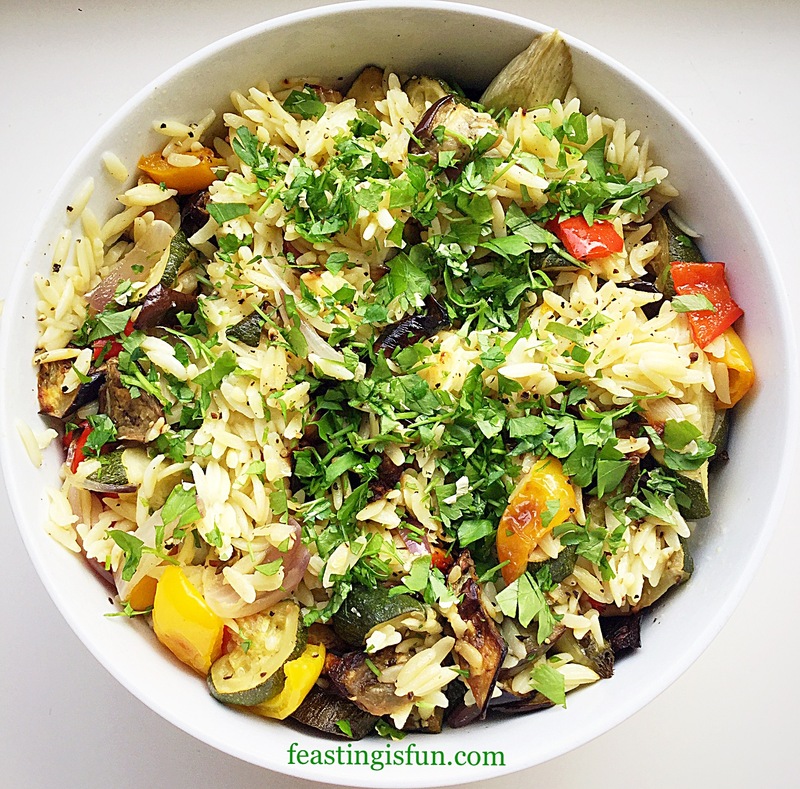 Rather, it brings everything together and sings on the tastebuds, above the other flavours. 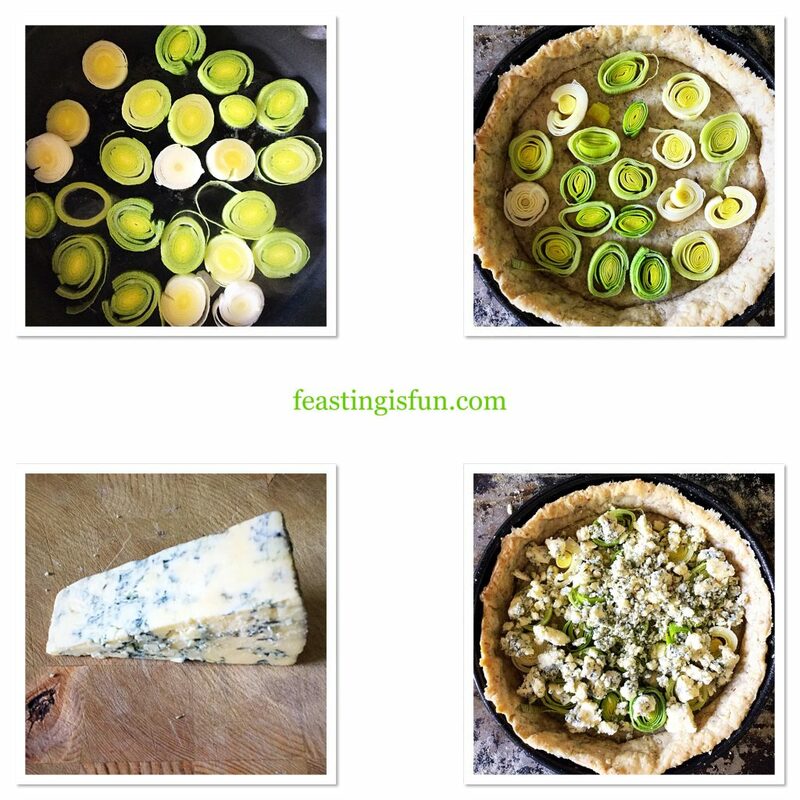 Walnut Pastry Crust Leek Stilton Tart a feast for the eyes. Slices of leek are sautéed gently, before placing in the tart. This not only ensures they are soft in the baked tart, but also concentrates the flavour. 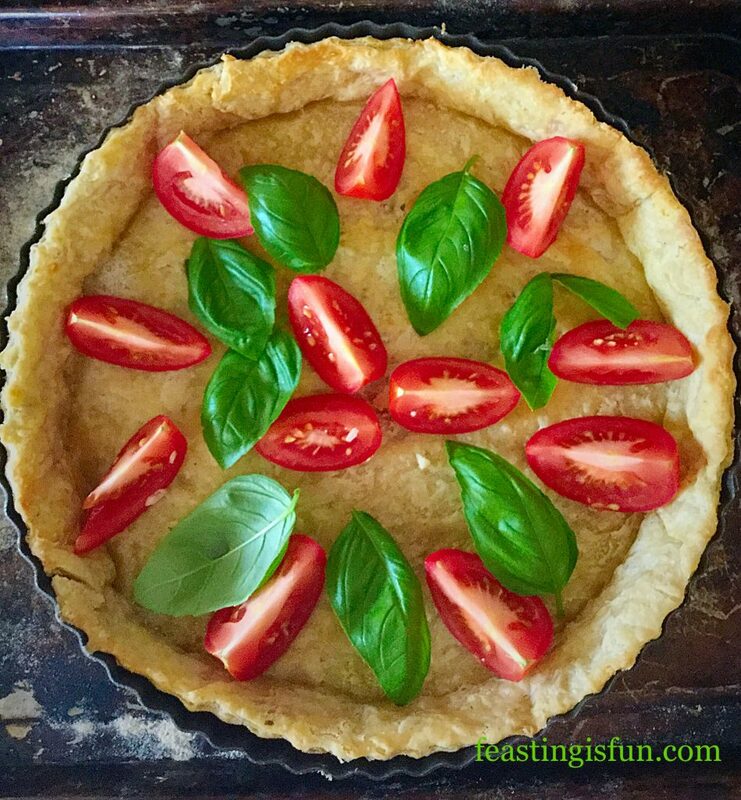 While baking, the rings separate and rise up through the tart. Also ensuring that each bite has tasty fresh, green leek in it. 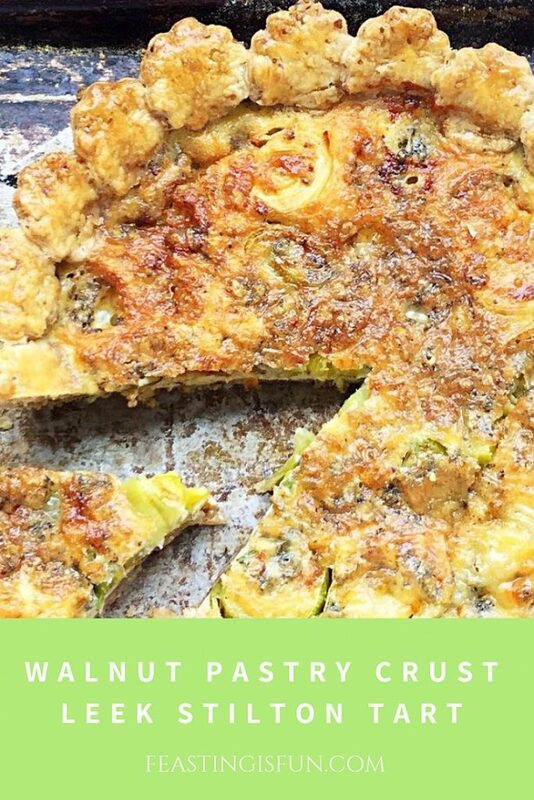 Walnut Pastry Crust Leek Stilton Tart crunchy and creamy. This tart is perfect for a light lunch, with salad, or as a main meal with a hot, buttered jacket potato. 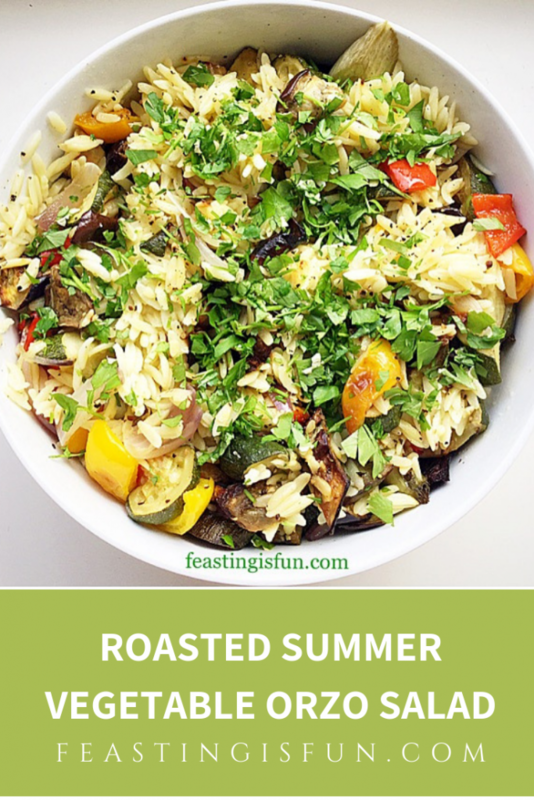 Also, it makes perfect picnic or buffet food, as it can be served at room temperature. 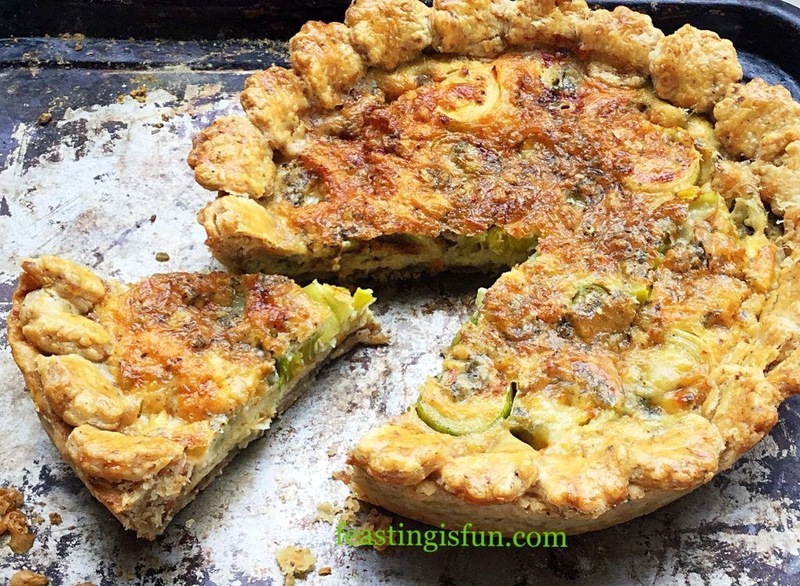 The added nutmeg is barely noticeable, yet enhances all of the tart’s flavours. 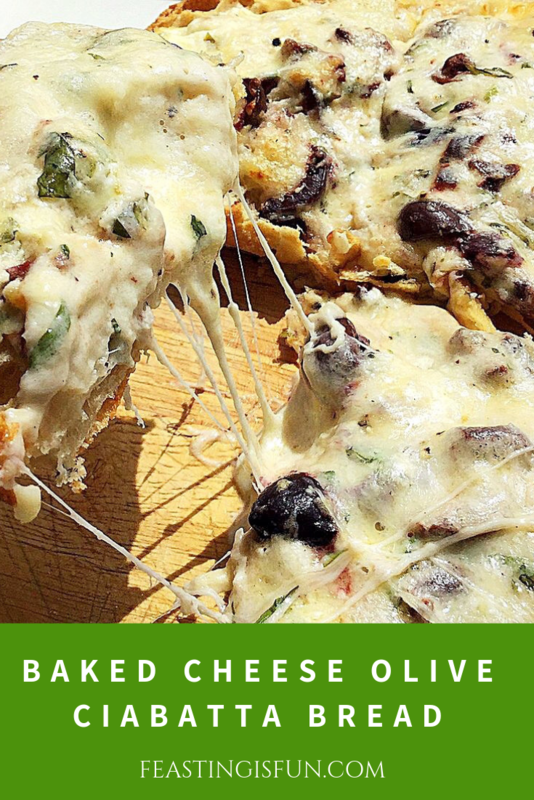 Leave it out and the finished bake tastes as though it is missing something. I encourage you to include it, freshly grated, if possible! A loose bottom tart tin that is approximately 25cm wide x 5cm deep or 10″ x 2″ is needed for this recipe. 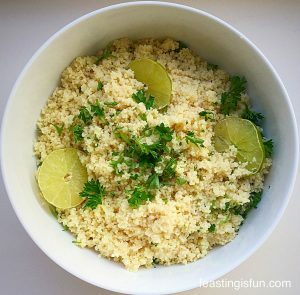 First of all, in a large bowl add the flour, chopped walnuts, salt, pepper and diced, cold butter. 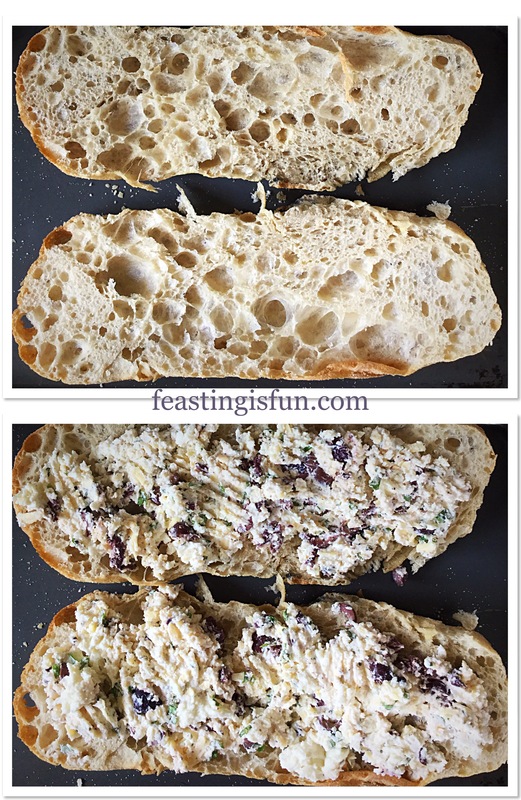 Then using your hands, or a pastry cutter, rub/cut the butter into the flour until the mixture resembles bread crumbs with pea sized chunks of butter present. Now make a well in the centre of the mixture and add the cold tap water 10mls at a time. Using your hand, fingers bent and shaped like a claw, mix the dough after each addition. 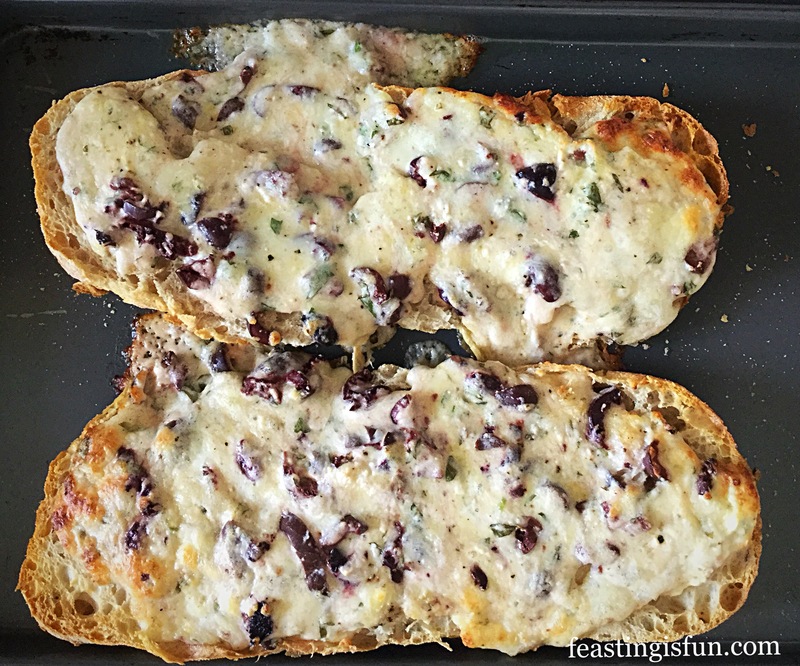 Work quickly to avoid the dough warming up and becoming oily. You may not need the full amount of water specified. Stop adding water once the dough comes together to form a rough ball. Set the bowl to one side. Wipe the worktop with a clean, damp cloth. 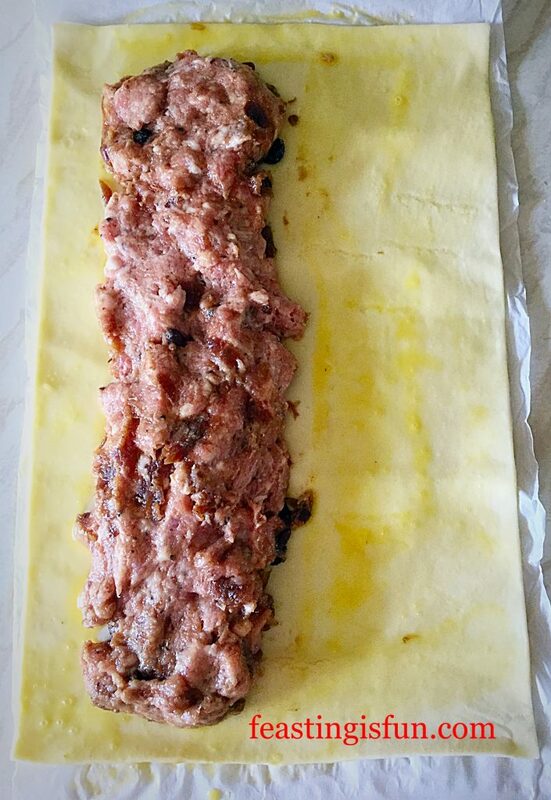 Then place the cling film (approximately the size of a large baking sheet) directly on to the damp surface. It will ‘stick’ and not move around. Finally, tip the walnut pastry dough on to the cling film. 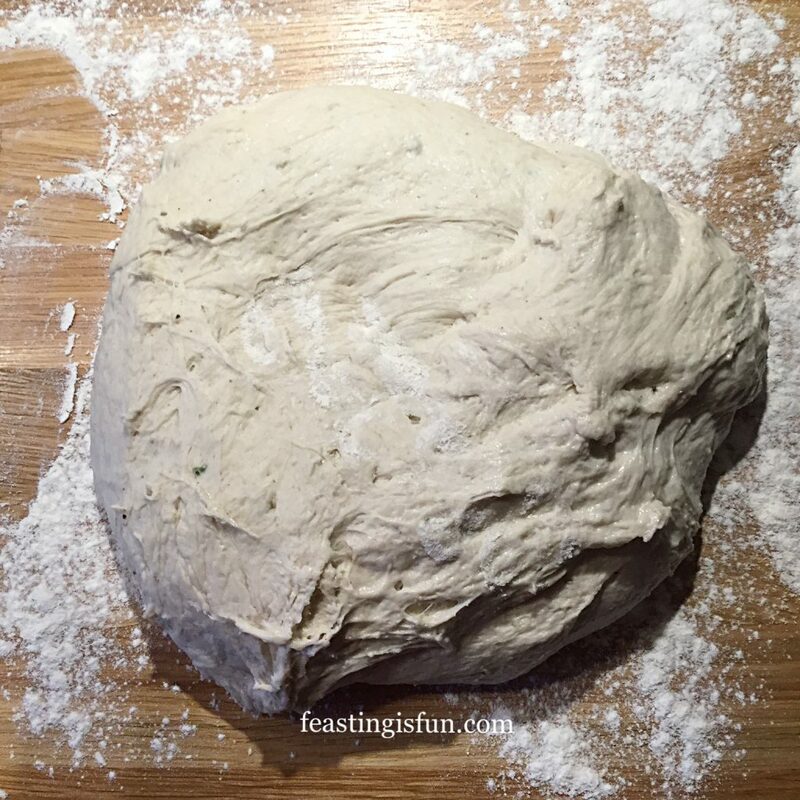 Knead the dough lightly into a disc shape. Avoid working the pastry for too long as this will result in a hard, tough, crust. 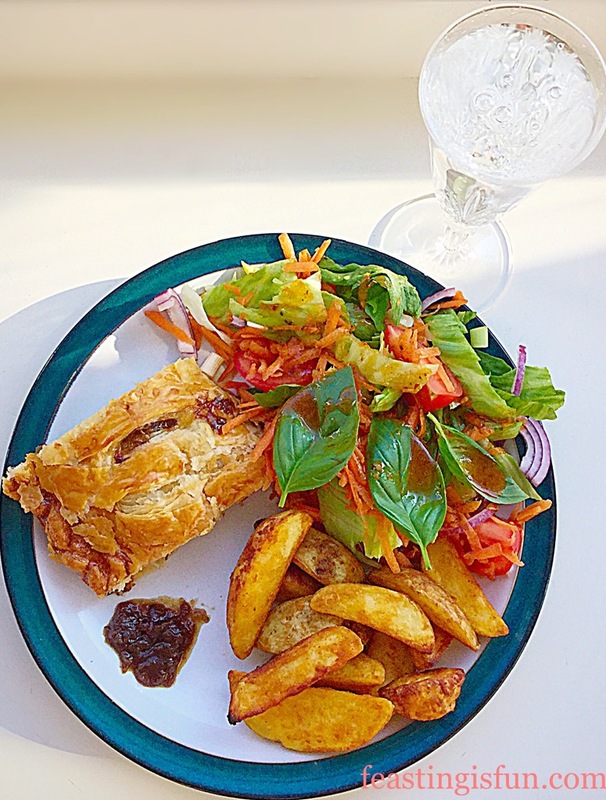 Wrap the pastry disc in the cling film and place in the fridge for at least 30 minutes, or until it is chilled. Making pastry the night before use allows it to chill thoroughly before rolling out. 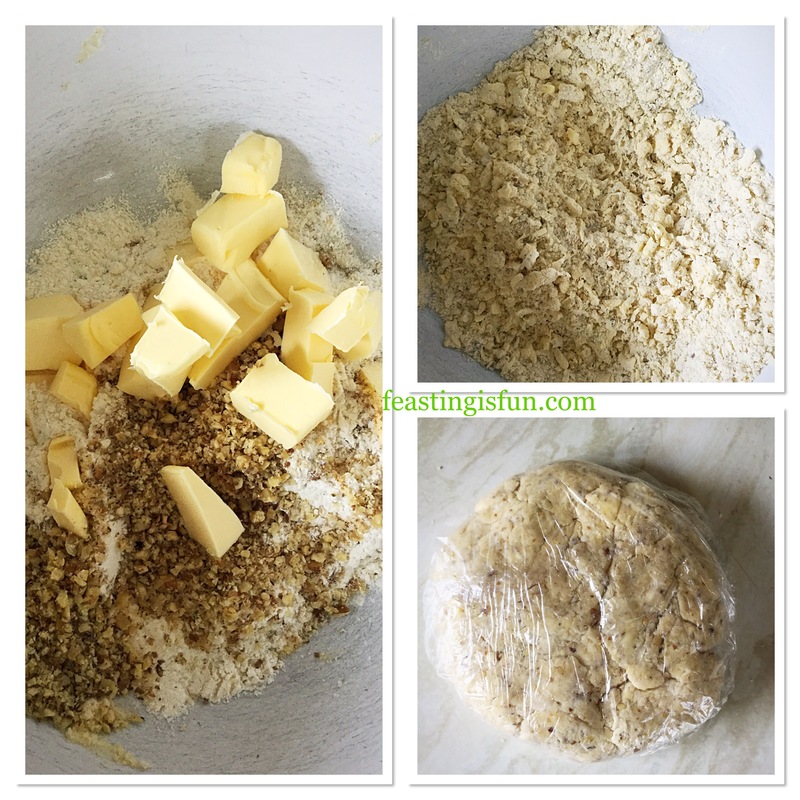 Making the Walnut Pastry Crust. 10 minutes before rolling out the pastry, preheat the oven to 220C/200C fan, gas mark 7. If you wish, lightly butter your tart tin, I never do. 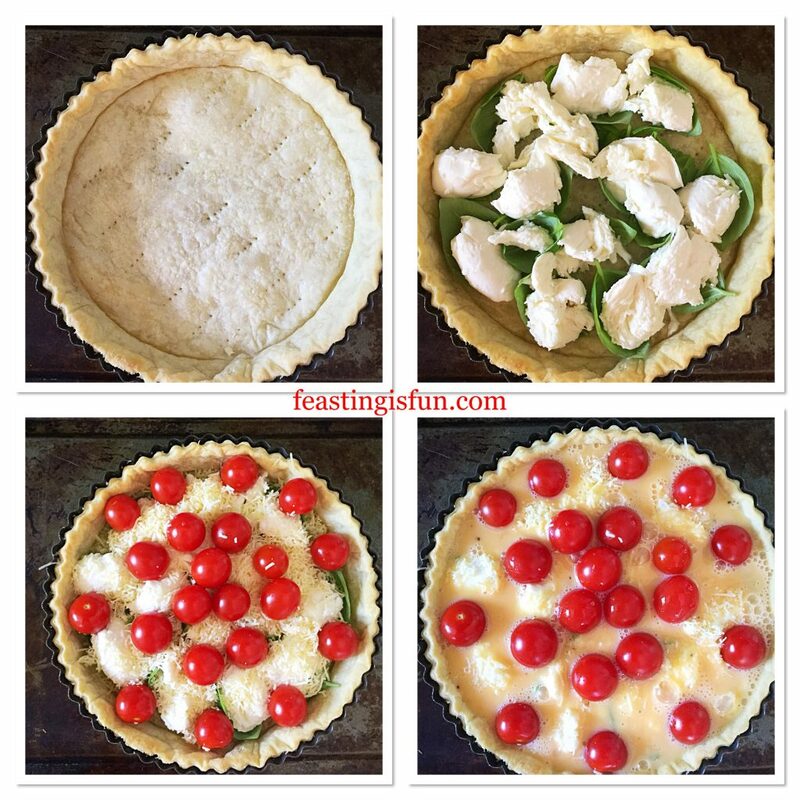 Place the tart tin on to a baking tray and put to one side. 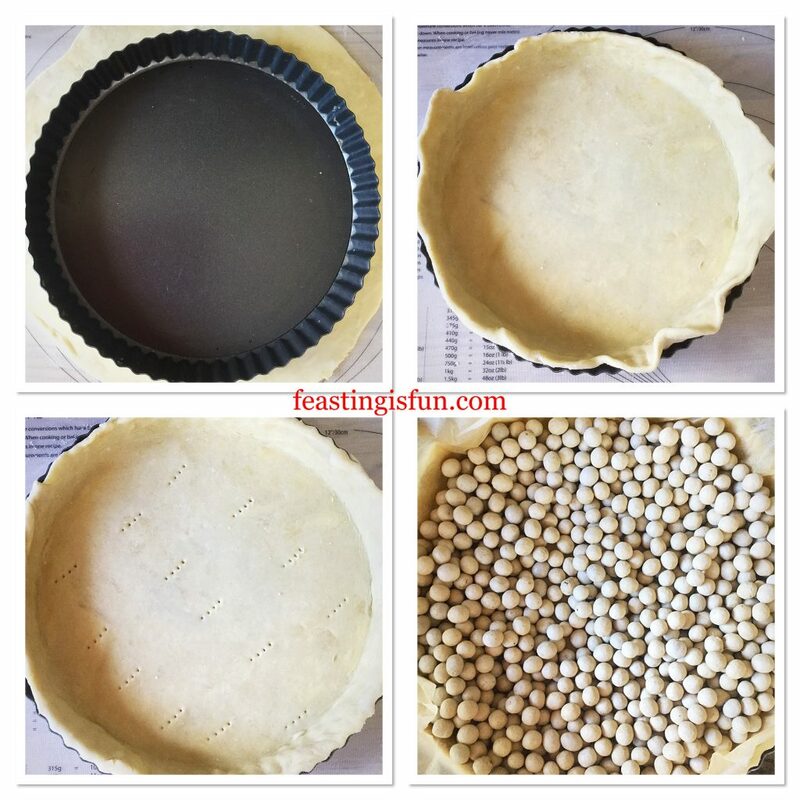 Place the chilled pastry on to a clean worktop and roll out evenly, until it is a slightly larger circle than the combined width and depth of the tin. Approximately 30cm/11″ in width. 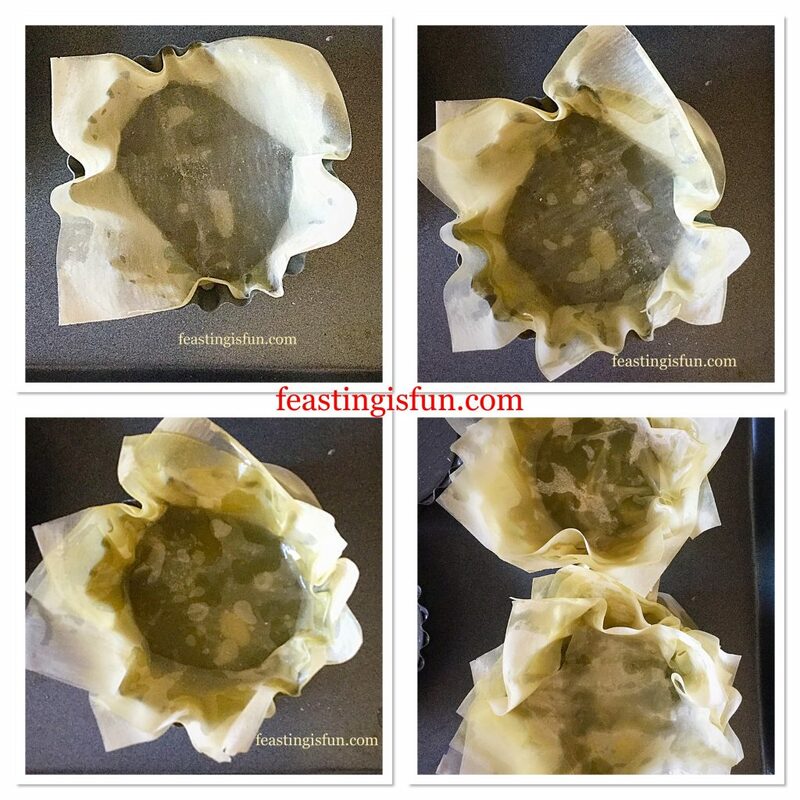 Roll the pastry around the rolling pin and transfer to the tart tin. Allow the pastry to settle into the tin. DO NOT stretch it as it will only shrink while baking. 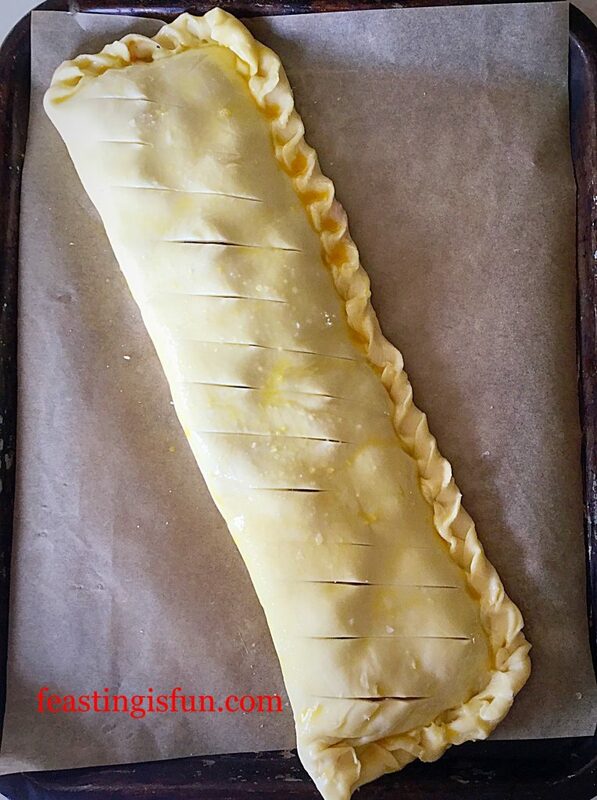 Ensure the tin is fully lined and then trim away any excess pastry. Dock the base of the pastry tart with a fork and then line with baking parchment. 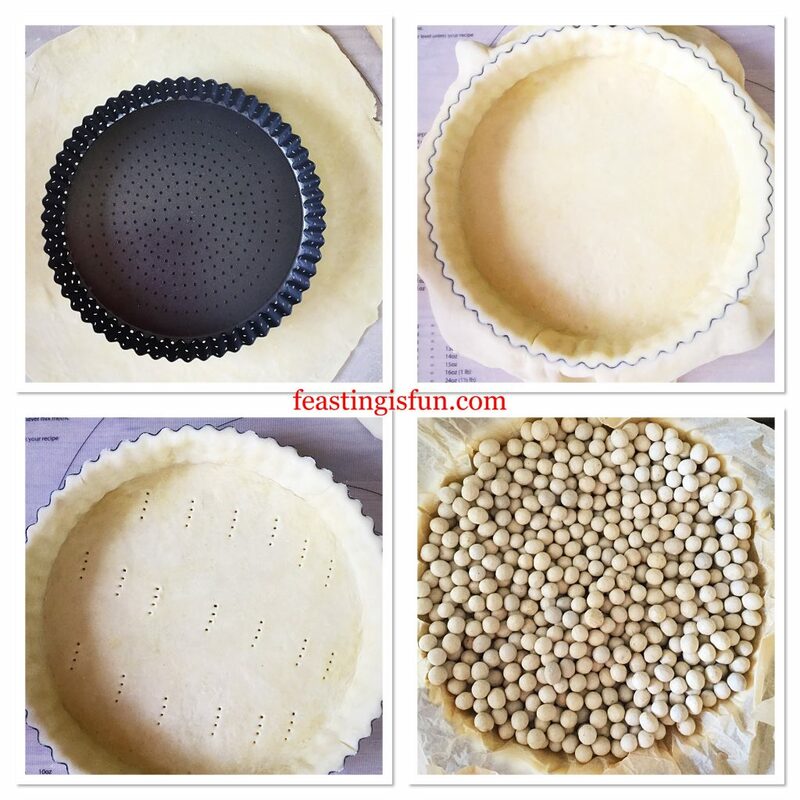 Fill the lined tart with baking beans, or ceramic balls and place into the top of the oven. 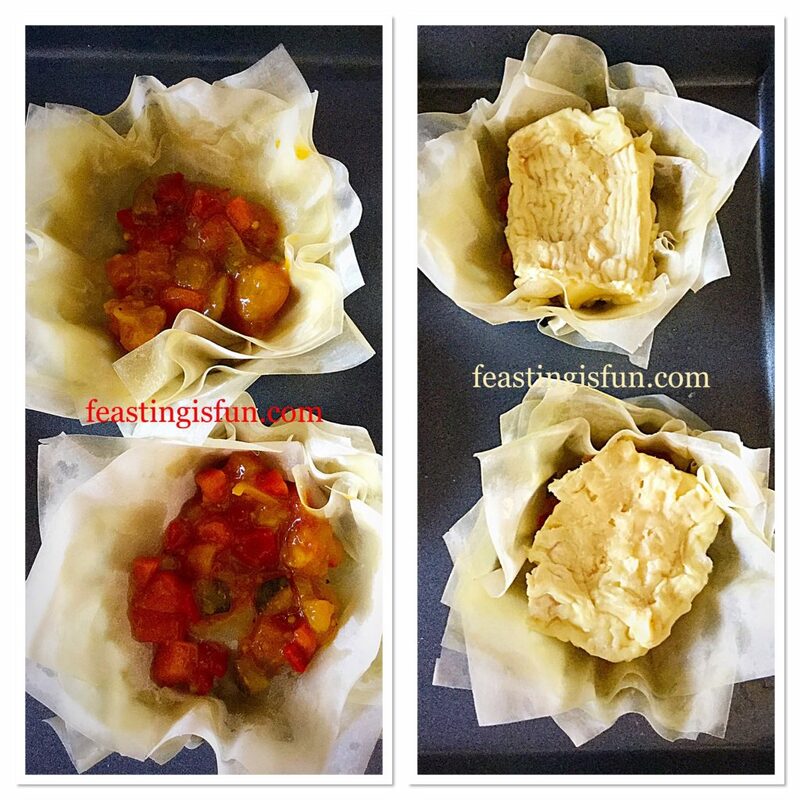 Bake the pastry for 15 minutes, then remove from the oven and lift out the baking parchment and beans. Return the tart to the oven and bake for a further 5 minutes. Preparing the Leek and Stilton filling. While the pastry is baking, prepare the leek. Strip the outer 2 layers, cut off the root end and top, then rinse thoroughly with cold water. Cut the leek into whole rings, approximately 1cm deep and the gently sauté in a dry pan over a medium/low heat for 10 minutes, or until slightly softened. 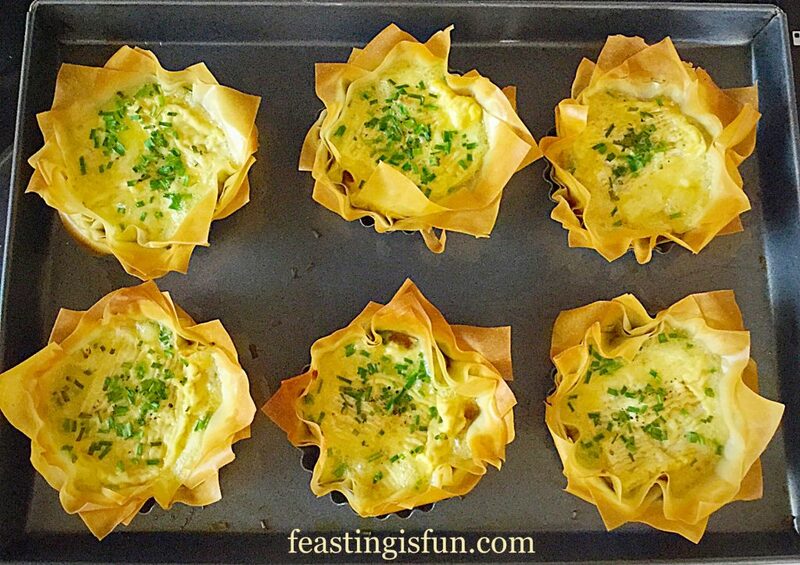 Remove the pastry shell from the oven when baked. 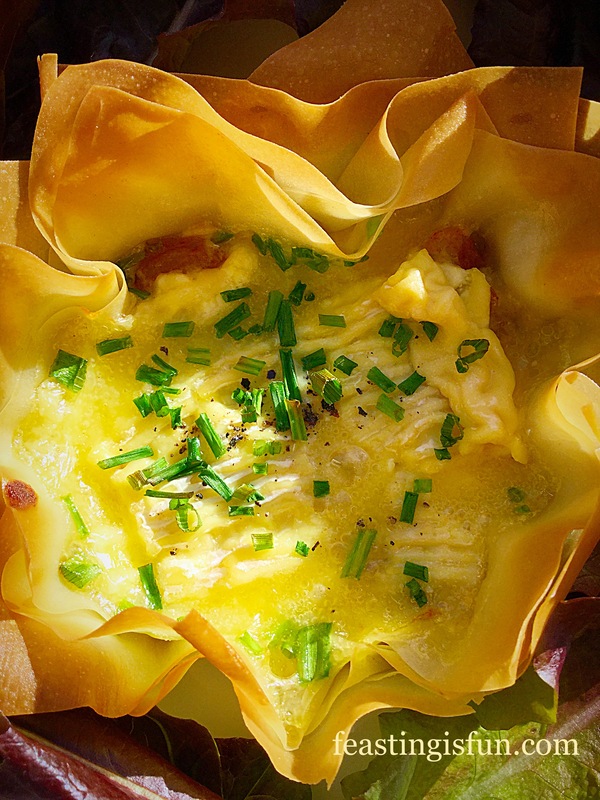 Carefully transfer the whole leek rings to the tart shell. Add any odd pieces of leek around the whole rings in the tart. 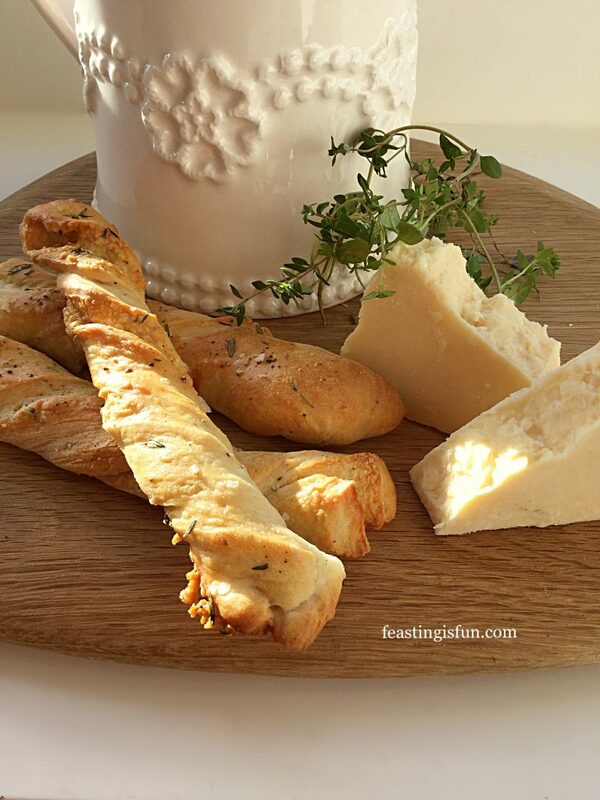 Cut the rind away from the Stilton. 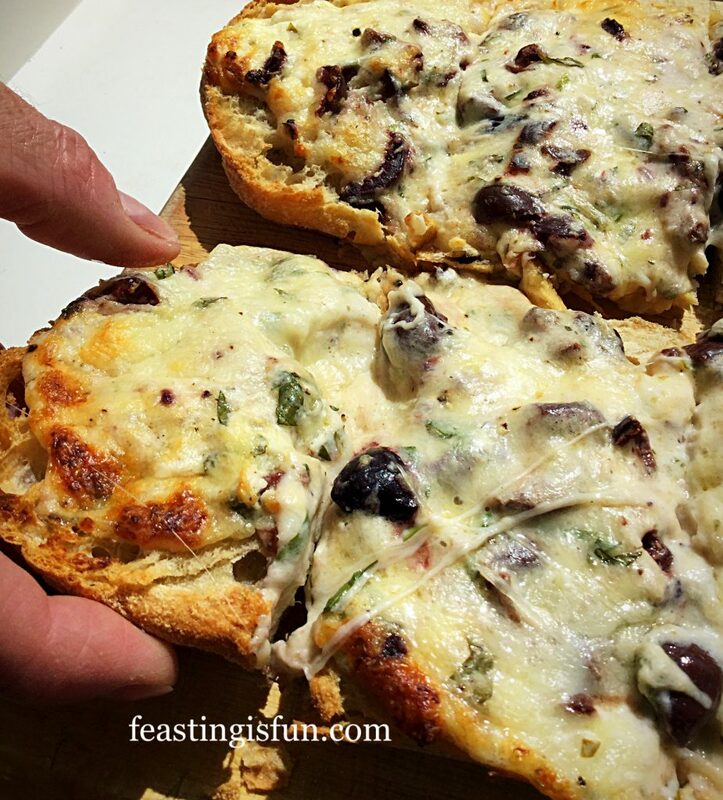 Now, using a fork, break up the Stilton, on a board, into crumbs. Sprinkle the crumbs over the leek in the tart shell. 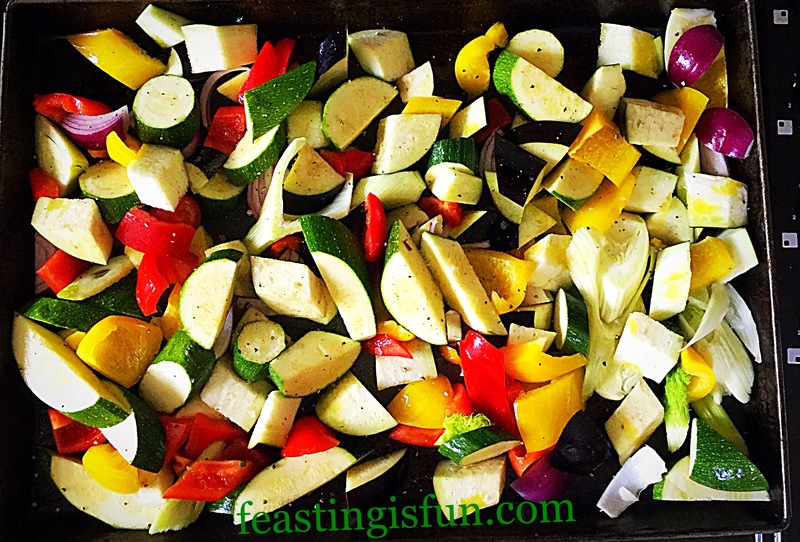 Reduce the oven temperature to 200C/180C fan, gas mark 6. 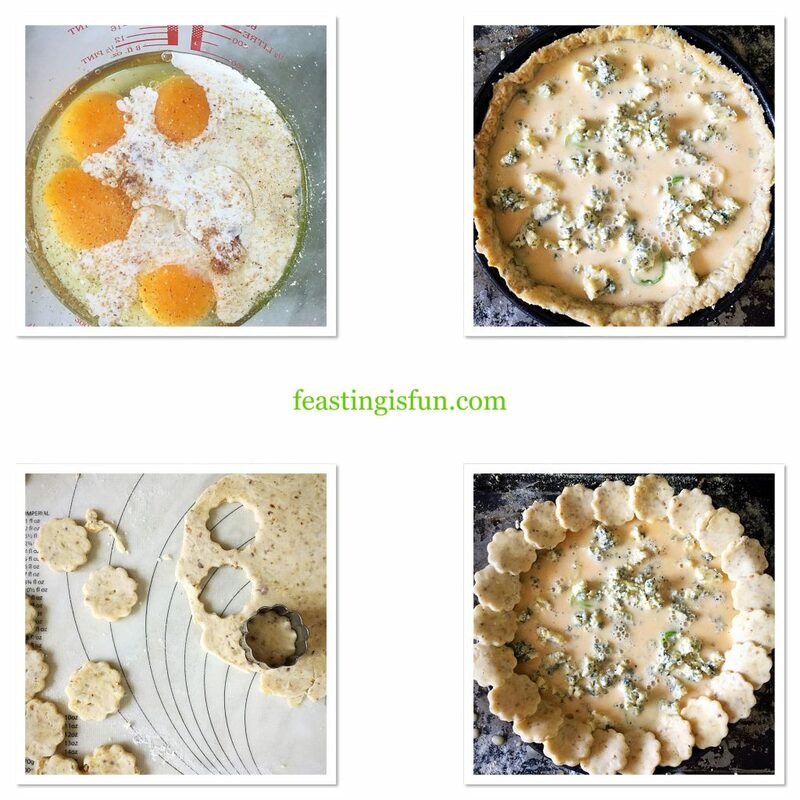 Preparing the egg custard and decorating the tart. Crack 4 eggs into a large jug. Add the double cream, nutmeg and pepper. Whisk together using a fork, until the mixture is uniform. 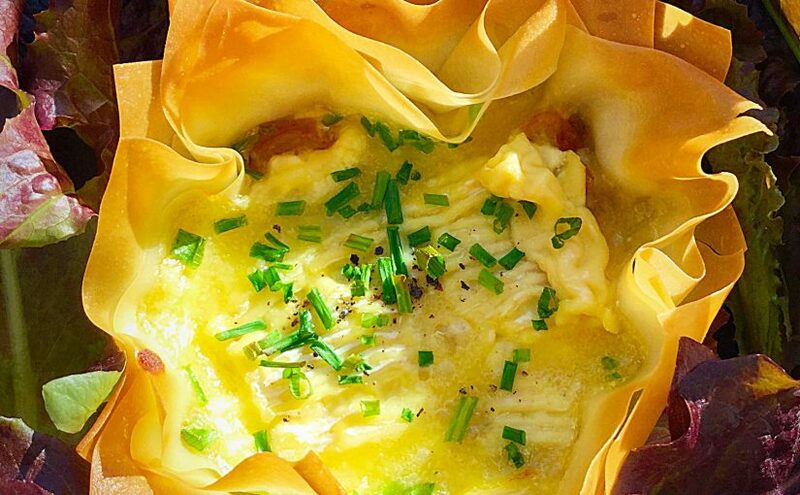 Pour the egg custard carefully into the pastry tart. Carefully, as the tart is still warm, run a piece of butter around the top perimeter of the tin. This will stop any pastry decorations sticking. 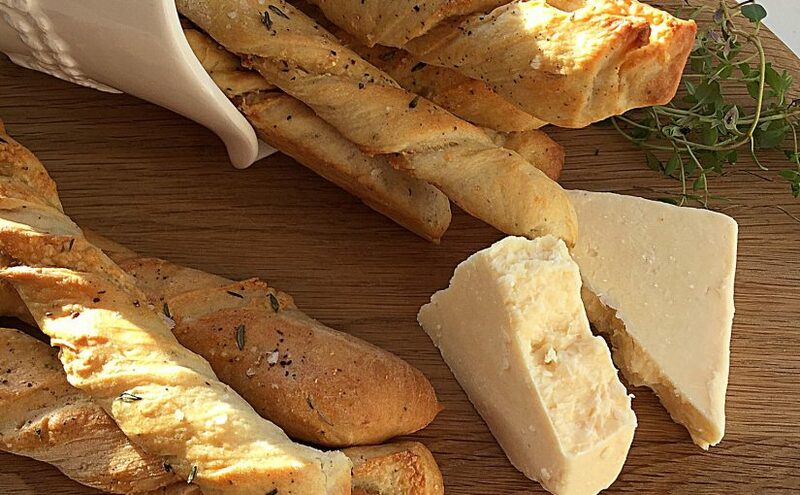 Gather together the pastry offcuts. Roll to the thickness of a one pound coin. Use a 1 inch/2.5cm approx. cutter to cut out about 25-30 circles. These will be placed around the edge of the tart. Break an egg into a small bowl, add 1tsp of cream or milk and whisk together. This is the egg wash.
Take the first cutout and with a pastry brush, dipped in egg wash, brush both sides of the circle. 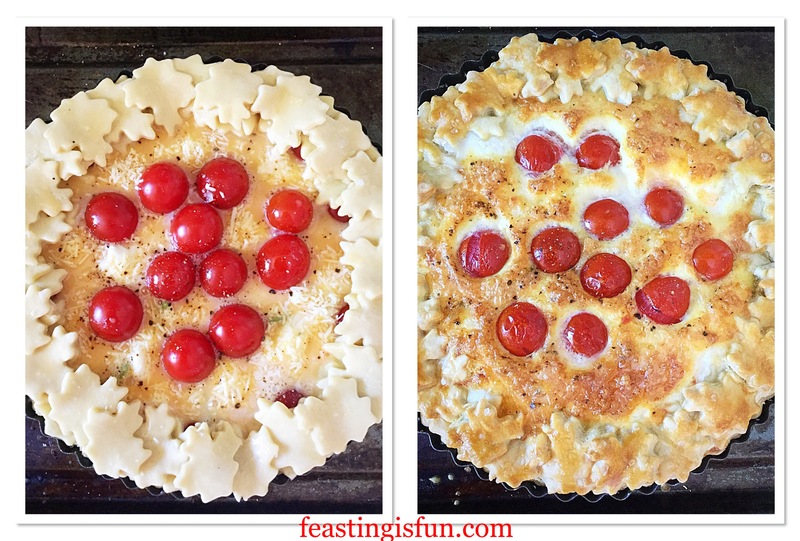 Place the circle on to the edge of the tart. 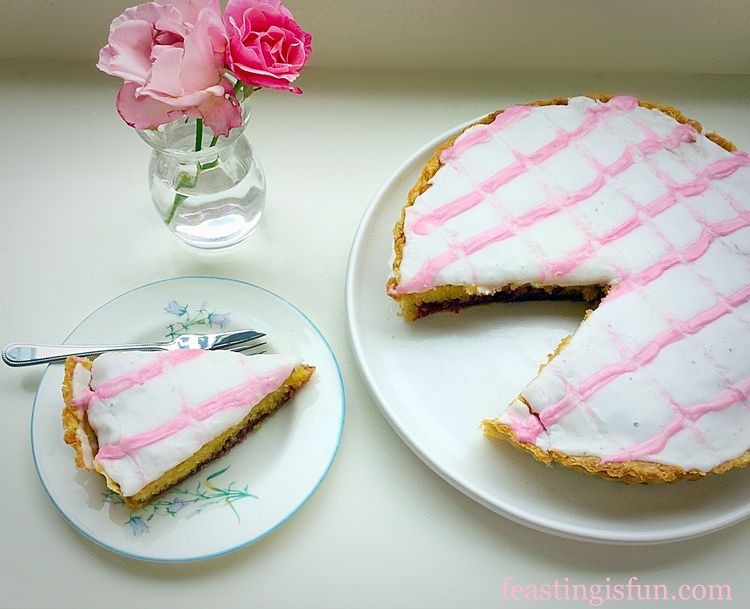 The centre of the circle should be in contact with the edge of the tart. Continue, using the same egg wash method and placing the 2nd circle so that just overlaps the first disc. 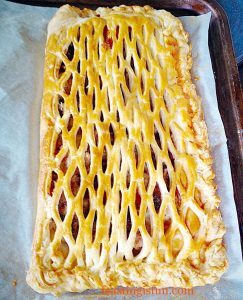 Keep going until the whole perimeter of the tart case is covered. I used 22 pastry discs. The number you need will depend on the size of your tart, how much the discs overlap and other variables. 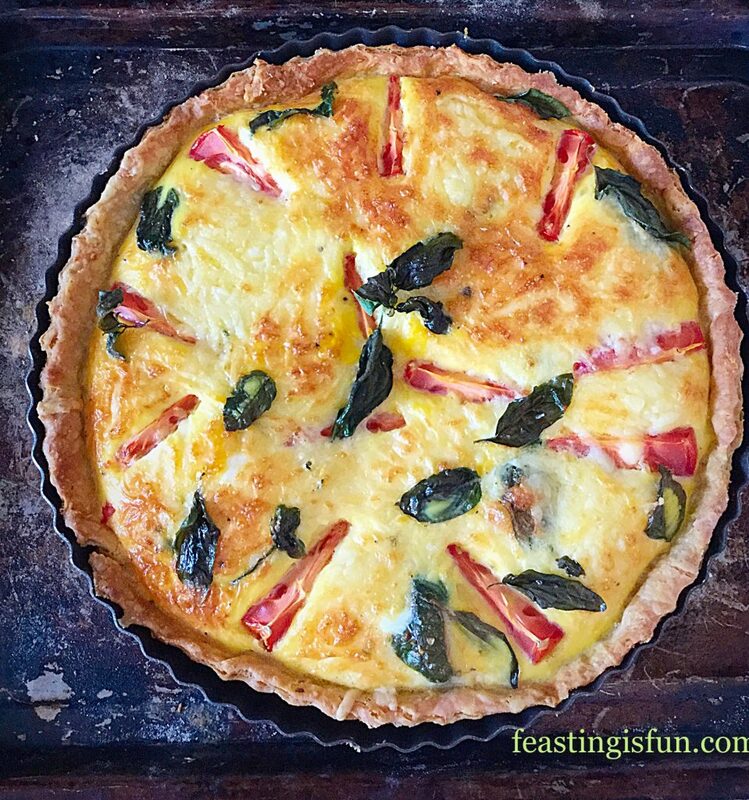 Finally, when the decorations are in place, pour any leftover egg wash into the tart. As long as there is room. 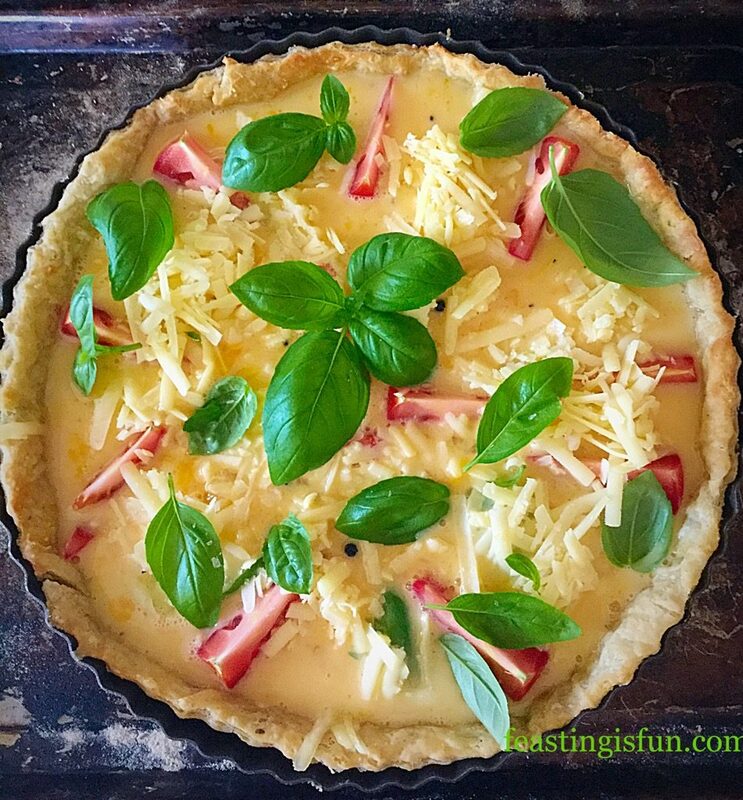 Place the tart carefully into the centre of the oven and bake for 40-50 minutes. The tart is baked when there is no wobble in the centre, the filling has set and the egg custard is golden. When fully baked remove the tart from the oven and allow to cool before removing from the loose bottom tart tin. This tart is delicious served warm for lunch or dinner, Also is is very tasty eaten cold or at room temperature, making it ideal for summer picnics and buffets. 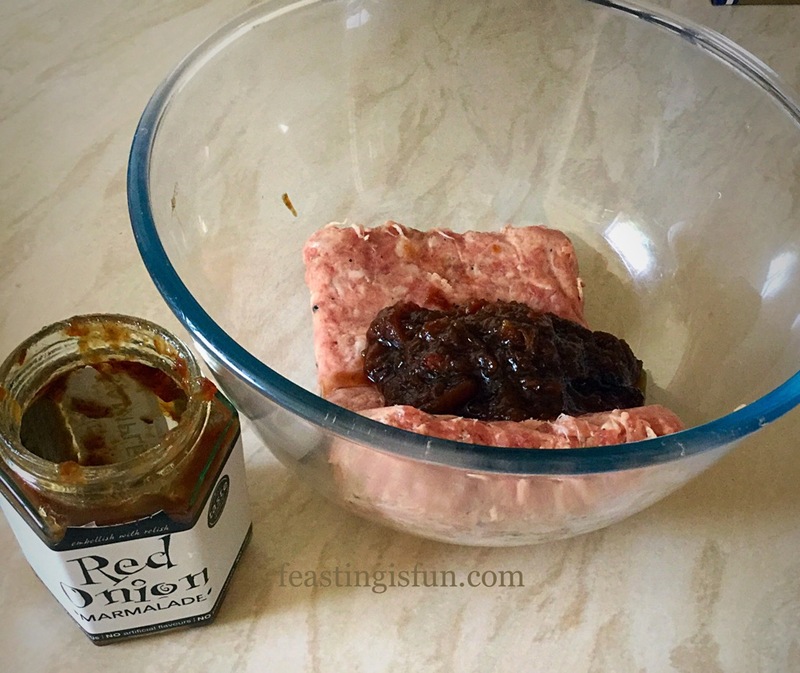 It will keep for up to 3 days, stored in a container or, wrapped in cling film and kept in the fridge. 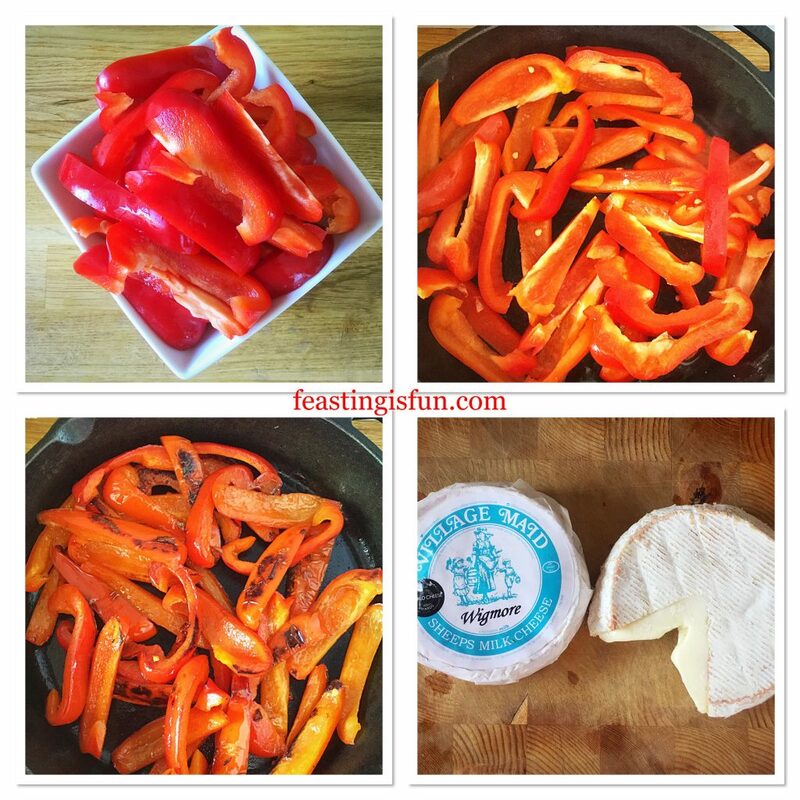 Bath Soft Cheese Chilli Tarts. 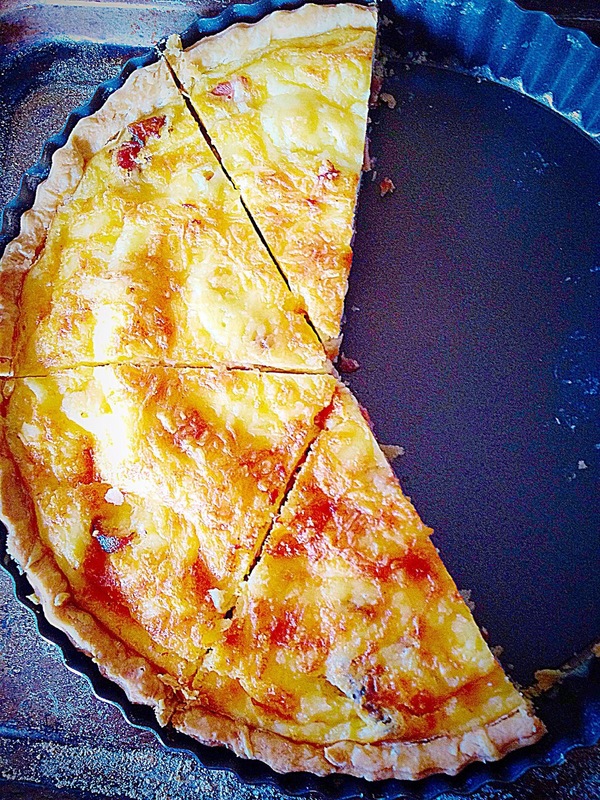 Homemade quiche and tarts taste a million times better than most shop bought varieties available. 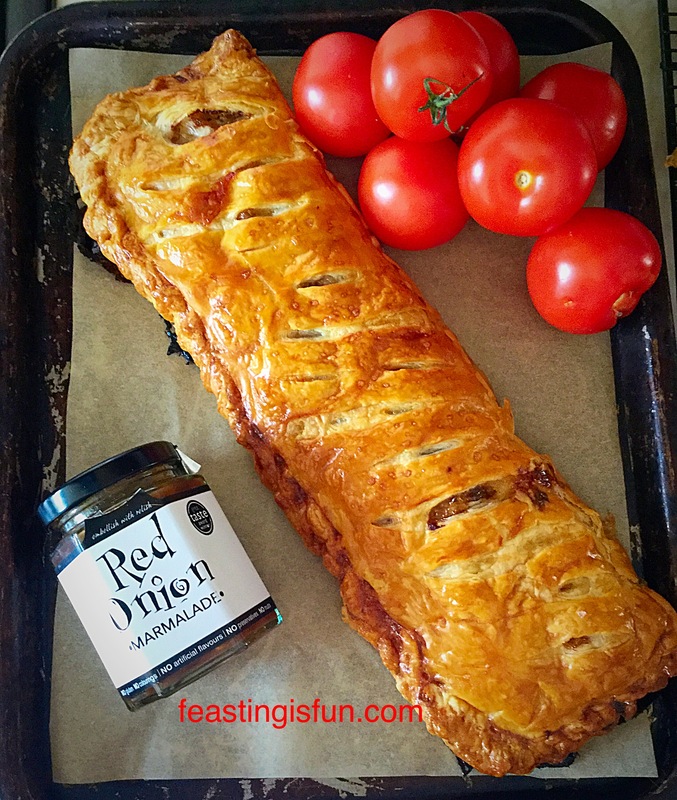 Seasoning, ingredients and indeed the pastry can all be tailored to our own personal tastes. 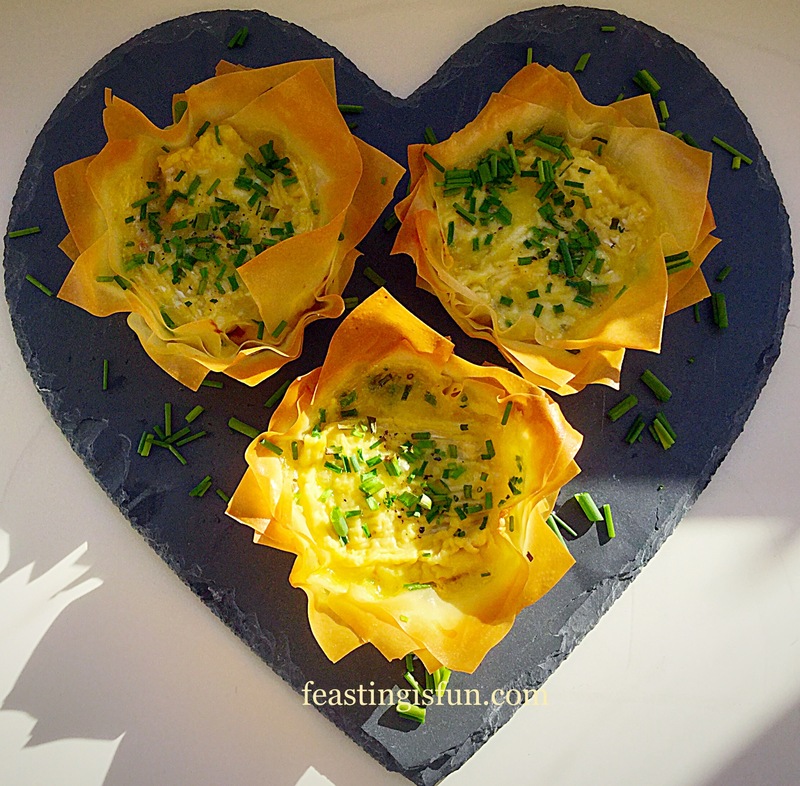 While I haven’t taken on the challenge of Filo Pastry yet, shortcrust is incredibly easy, see Perfect Butter Shortcrust Pastry. Whether served with a jacket potato and salad for a substantial meal, or grabbing a slice to eat whilst on the go, tarts and quiches are easy to make. They are also very satisfying to eat. 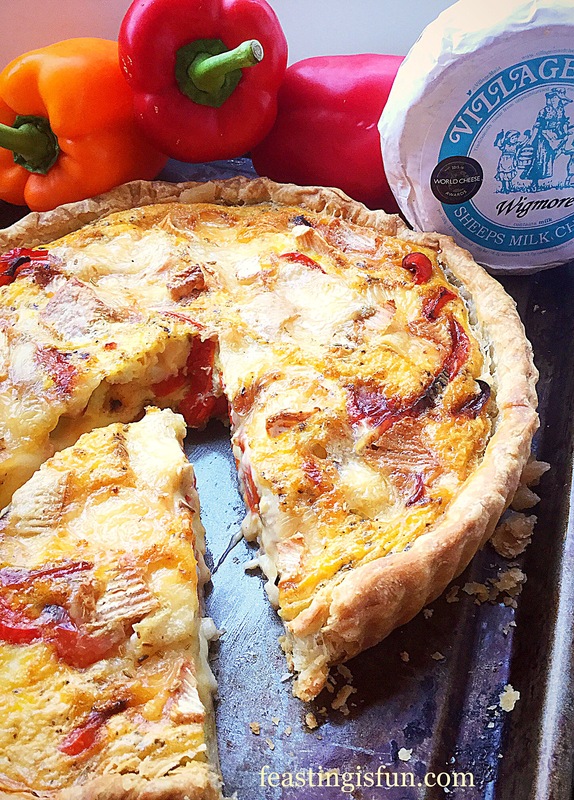 Do you have a favourite flavour combination for quiches and tarts? Whatever you are making, baking and creating in your kitchens, have fun. 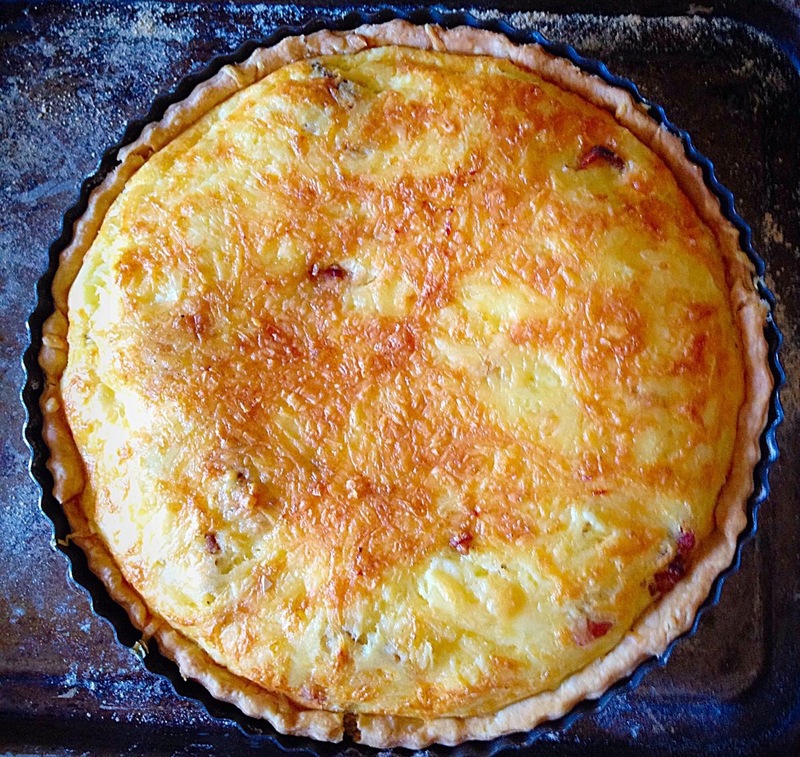 It would seem that Monday’s have become quiche days. This was not intentional, although I haven’t been cooking Sunday roasts for the last few weeks, so that may explain it. 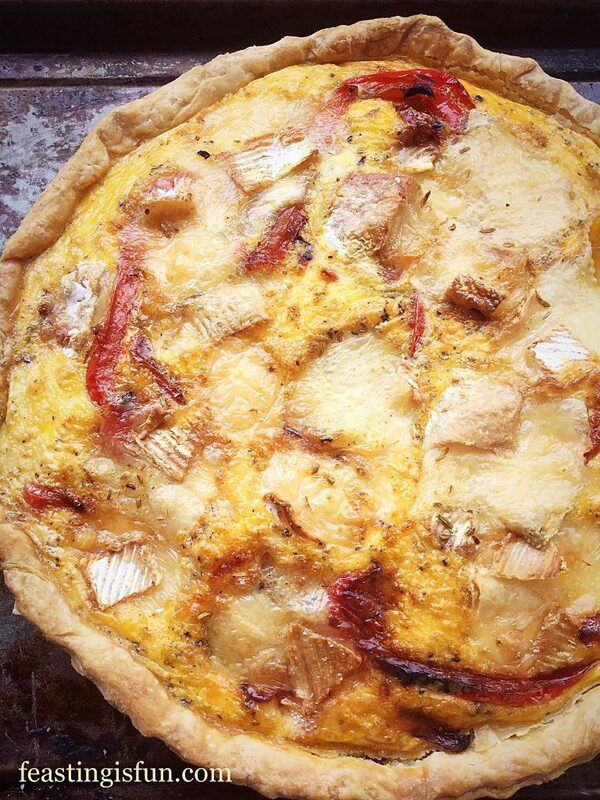 Plus we all love quiche in our house. It’s easy to make and bake in the morning, ready for a quick reheat in the evening for dinner. 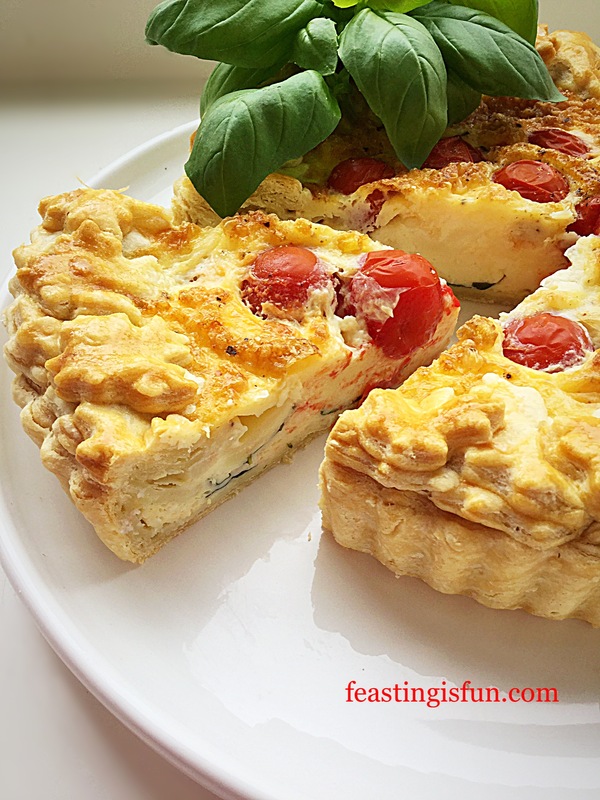 So today I give you my Cheddar Tomato Basil Quiche. 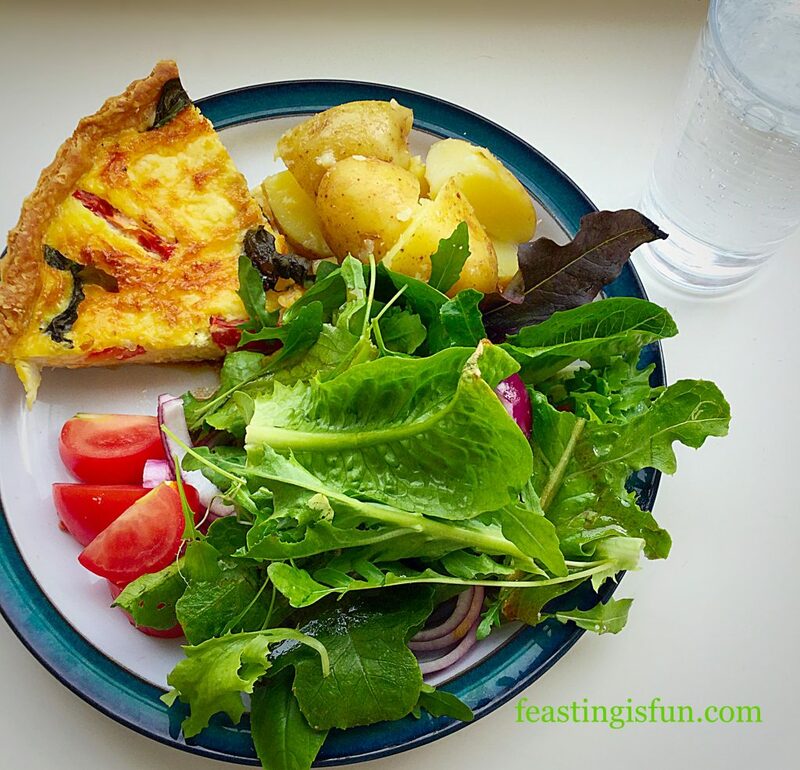 Cheddar Tomato Basil Quiche perfect with homegrown salad and new potatoes. Now if you’re a little quirky like I am, you’ll understand why quiche is one of my most favourite pastry dishes. It’s the ratio of pastry to filling that I love. 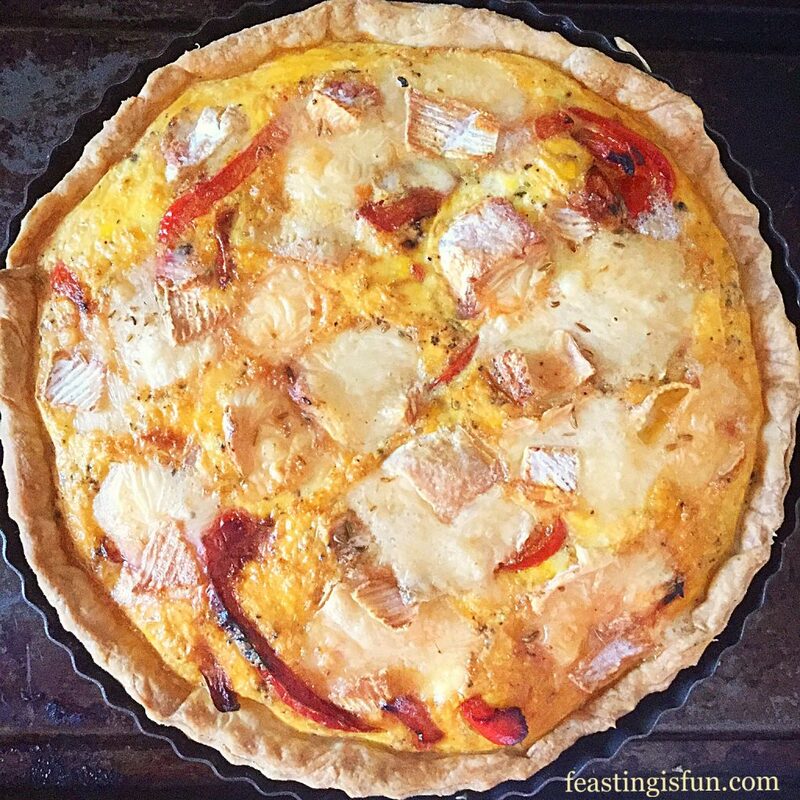 Technically a tart, a quiche has no pastry top. 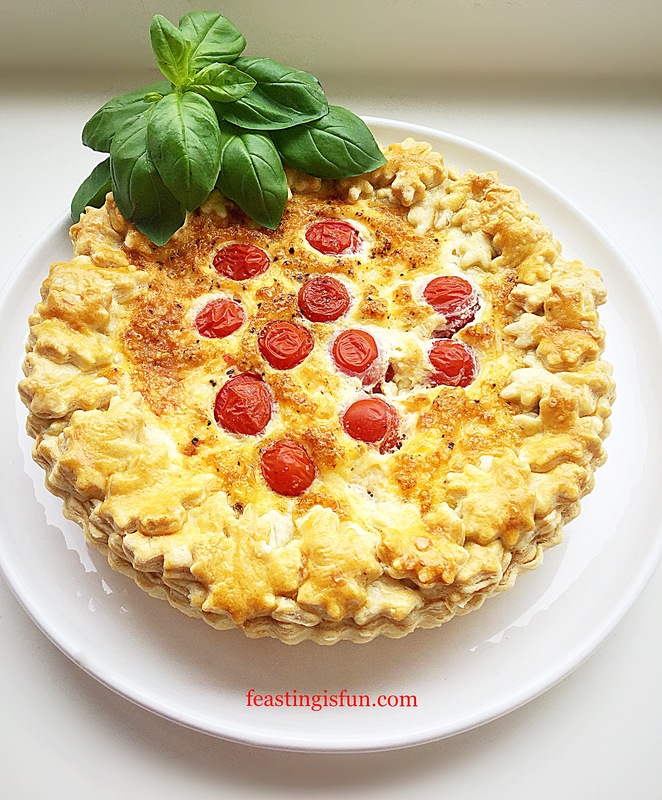 So this Cheddar Tomato Basil Quiche has sides and a base of delicious, homemade, all butter shortcrust pastry and lots of eggy filling. Cheddar Basil Tomato Quiche utterly delicious and packed with great flavour. One quick word on eggs – I adore them and only ever buy free range or organic. They are my go to comfort food and also the one thing I can make myself eat when I’m tired or in pain. I still eat my boiled egg out of the chick covered eggcup holder I had when I was little. I love eggs in all guises but a really good dippy boiled egg, or soft fried egg are my favourites! 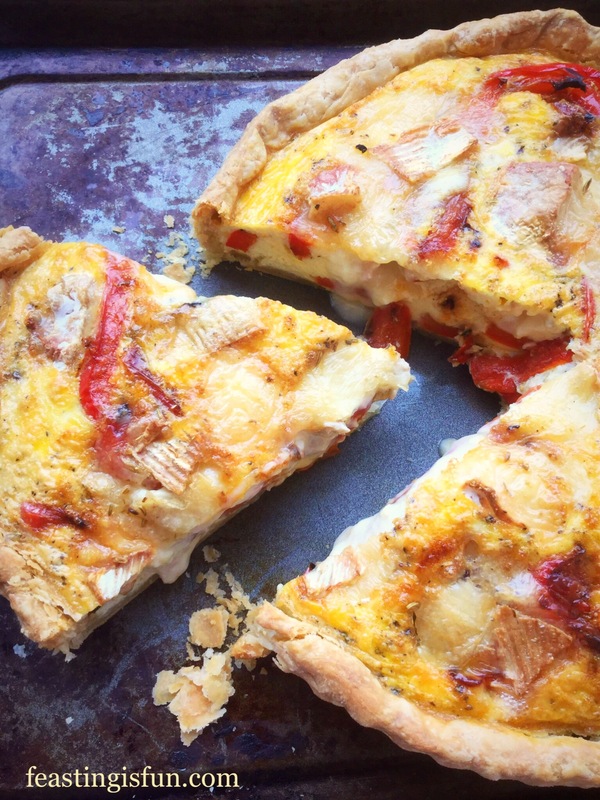 Back to quiches and this Cheddar Tomato Basil Quiche in particular. I’ve made a few over recent weeks and I’ll link them at the bottom, but now I’m actively trying to make vegetarian ones. 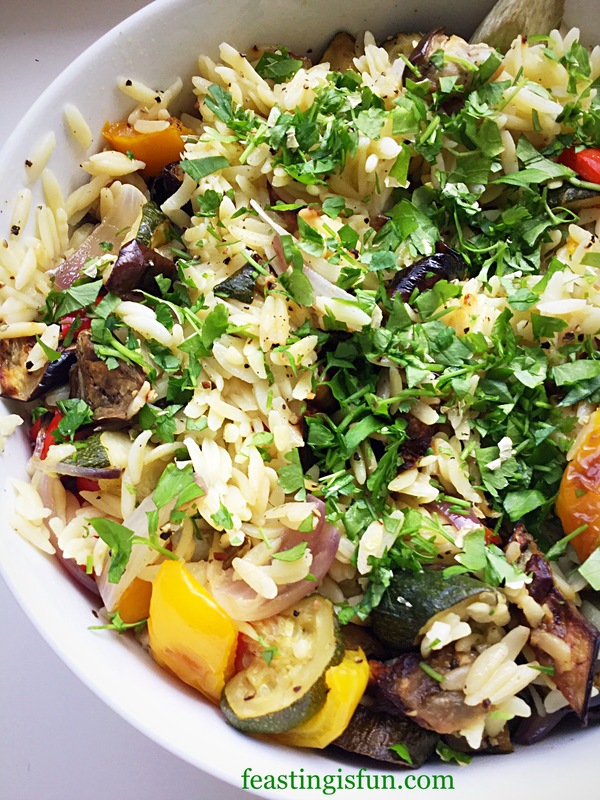 Twitter has a #MeatFreeMonday hashtag and so it fits in nicely with that for the time being. 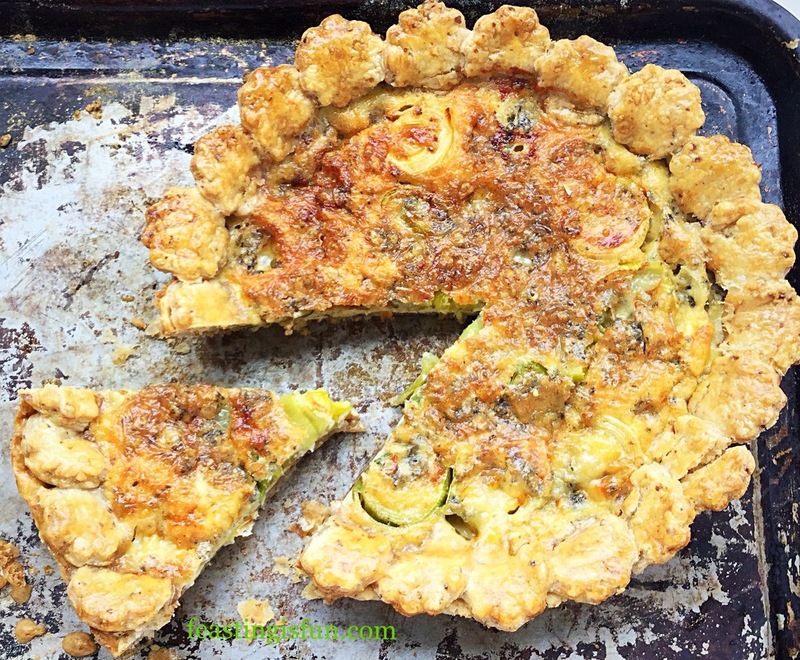 Most of my quiche recipes can be switched to veggie versions if you want to. 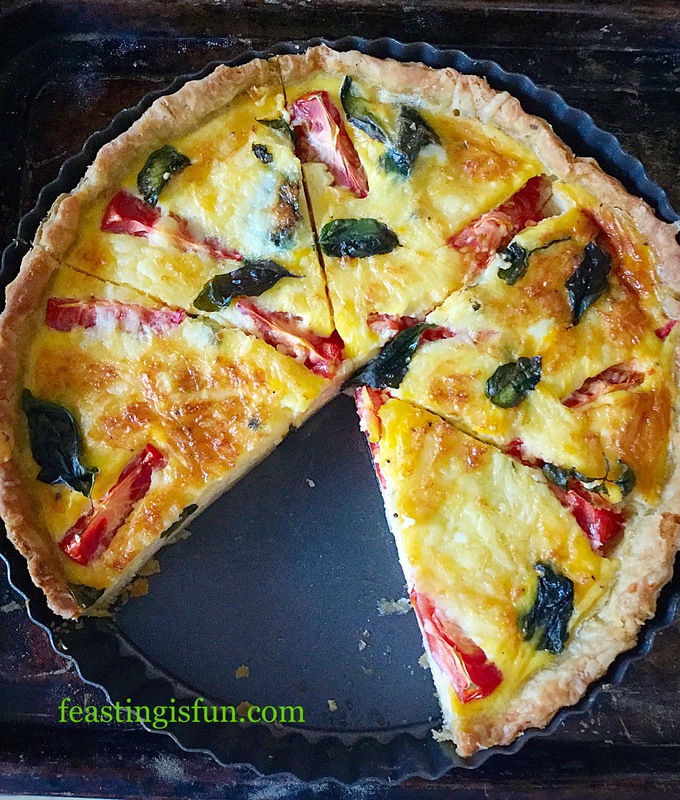 Cheddar Tomato Basil Quiche so easy to make ahead. Pastry! I have written a recipe that is absolutely foolproof for making Perfect All Butter Shortcrust Pastry. 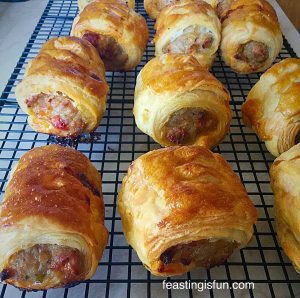 Yes I totally get that we’ve all got busy lives and as yet, no I haven’t made my own puff pastry, but, my recipe is quick and simple. It’s also a lot cheaper than buying your own pastry, plus you know exactly what goes in it. 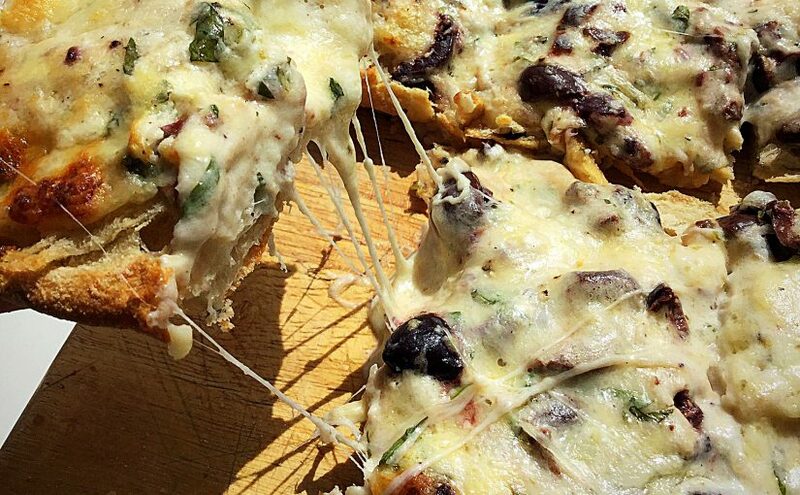 So please be encouraged to try making it for this Cheddar Tomato Basil Quiche. You’ll have twice as much as you need and you can easily freeze the other half! Dust the work top with flour and rolling pin. Form the pastry into a ball. 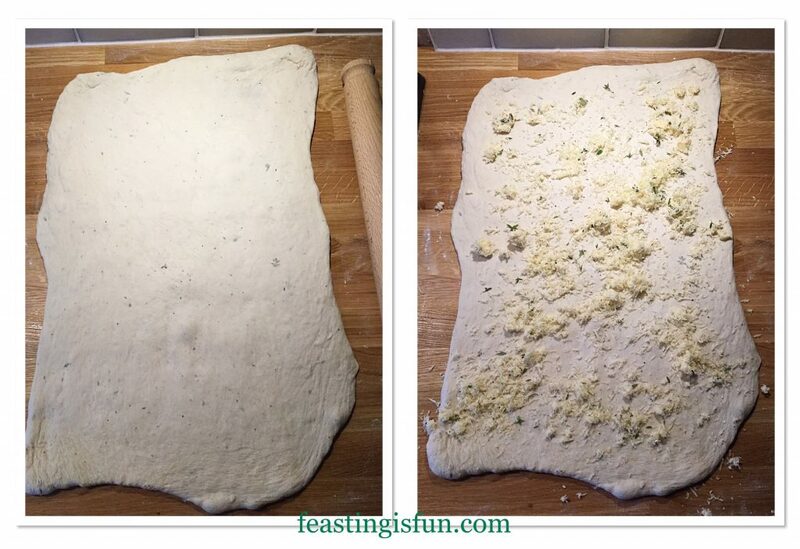 Roll out from the centre of the pastry, in one direction until you have a circle slightly larger than your quiche tin. 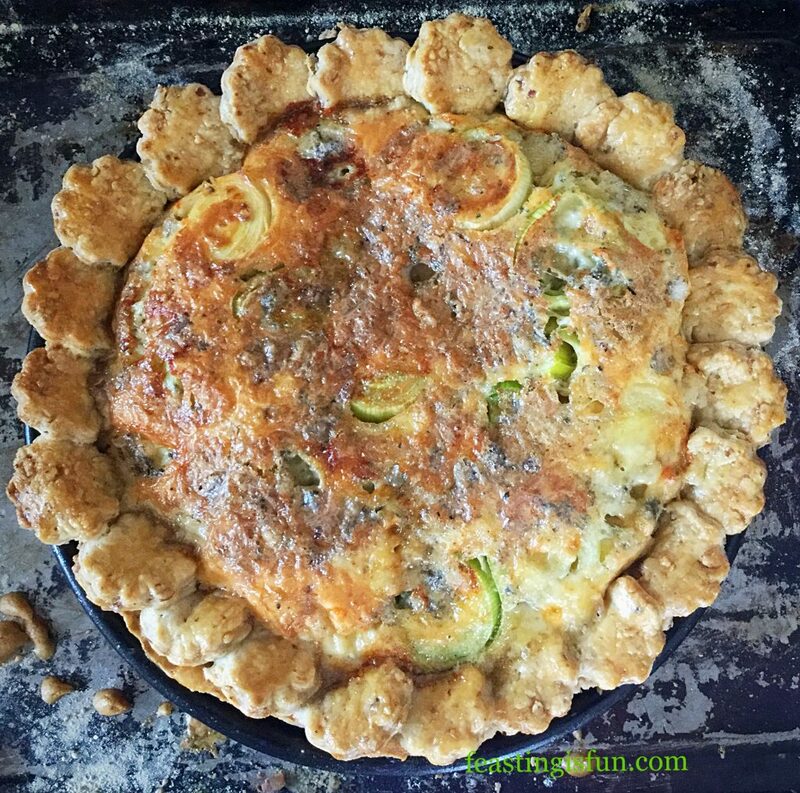 Ensure the quiche tin is placed onto a baking tray. 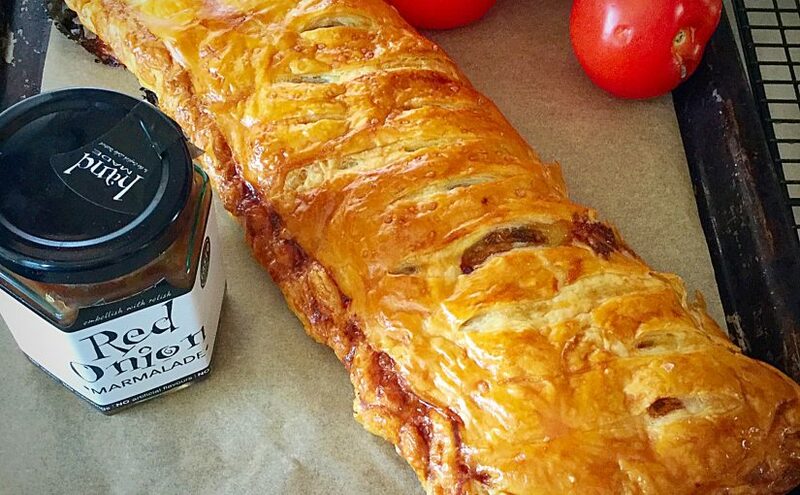 Transfer the pastry to the tin by wrapping the rolled out pastry around the rolling pin. 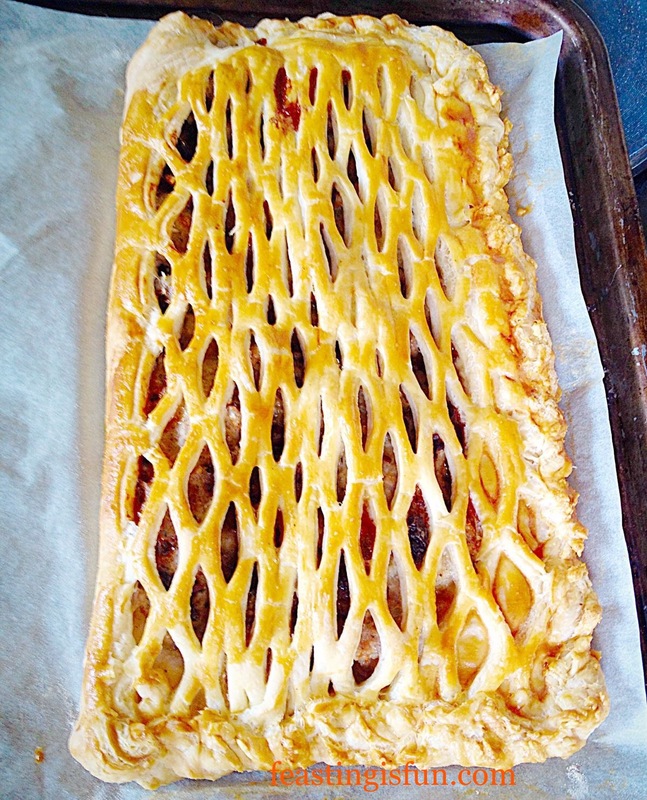 Ensure the pastry is pushed, not stretched into position, pressing firmly against the sides of the tin. Roll the rolling pin over the top of the tin. This creates a nice clean edge to the quiche. Cut a piece of baking parchment slightly larger than the filled tin. Scrunch it up and then place on top of the pastry. Fill with ceramic balls or baking beans and place in the top of a preheated oven for 15 minutes. After 15 minutes baking time has elapsed remove the baking tray from the oven. 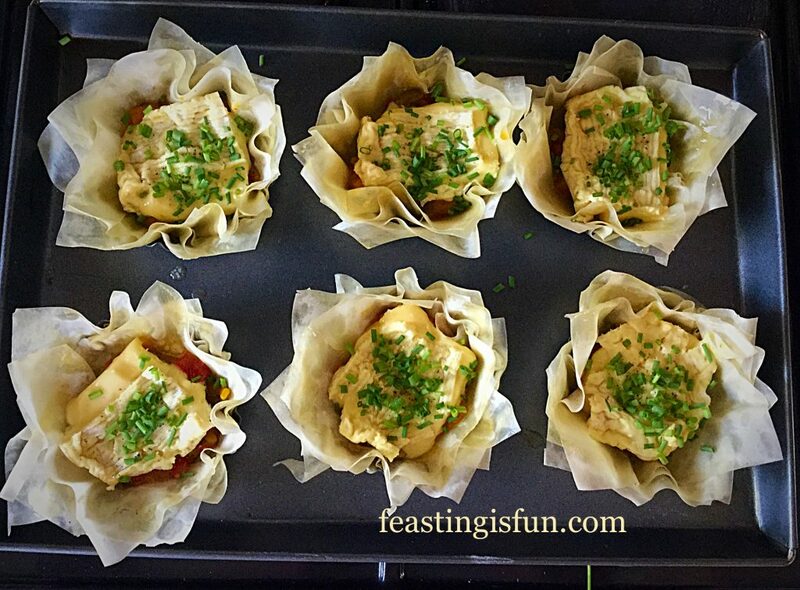 Using the parchment paper lift out the baking balls. 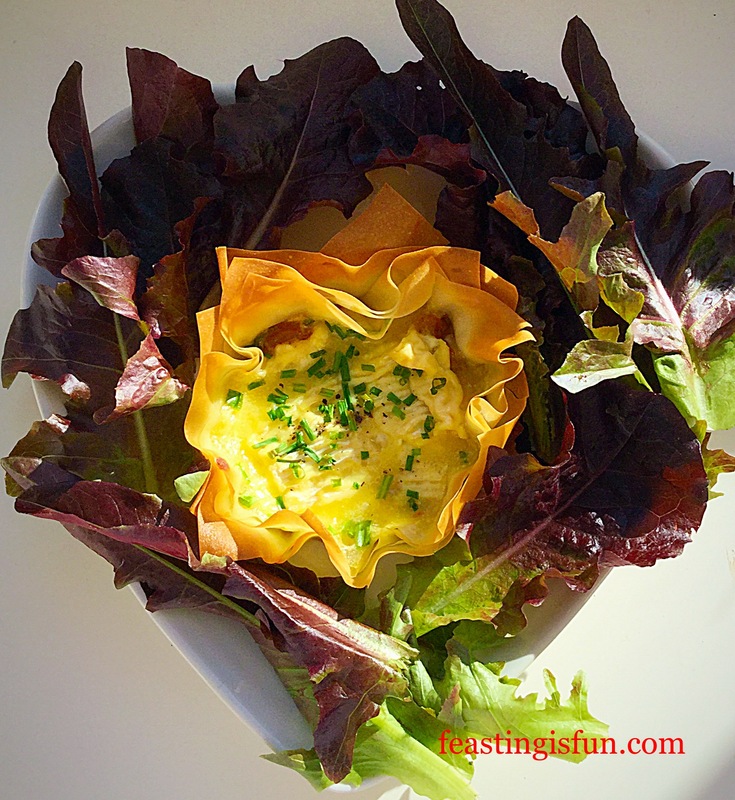 Return the pastry case to the oven and bake for a further 5-10 minutes until the pastry has just turned golden. 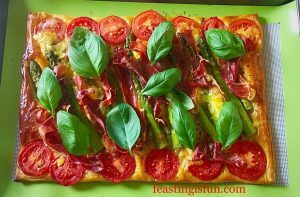 Place the tomatoes and half of the basil on the pastry base. 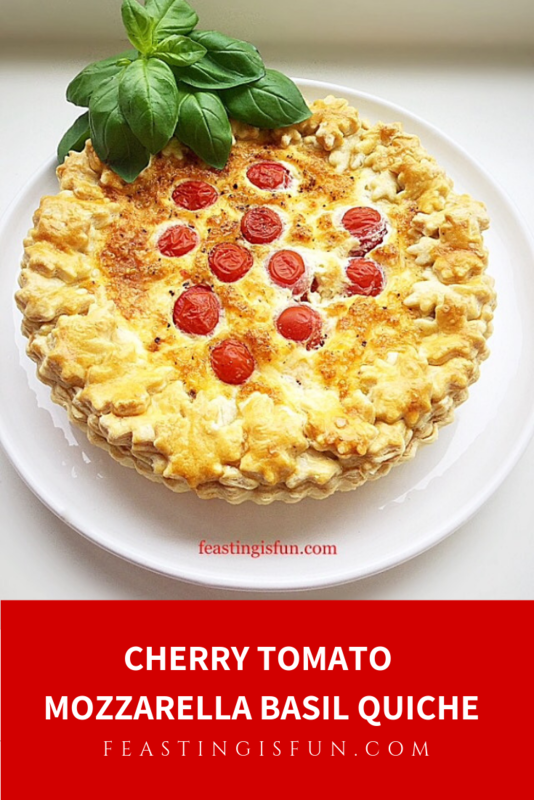 Next add the grated cheese in between the tomatoes. Crack all the eggs into a large jug (I always crack mine into a separate bowl first). Add the milk, salt and pepper and whisk lightly with a fork until combined. 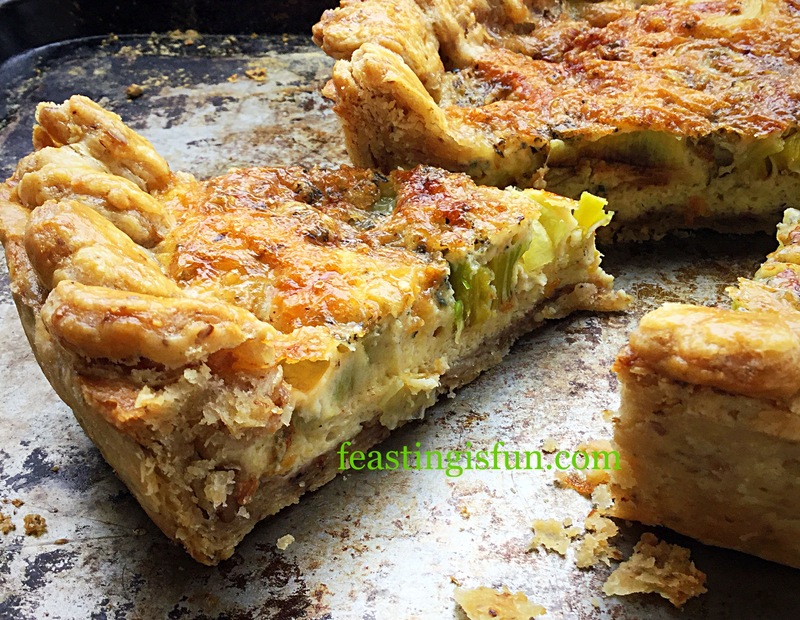 Pour the egg mixture carefully over the filled quiche. 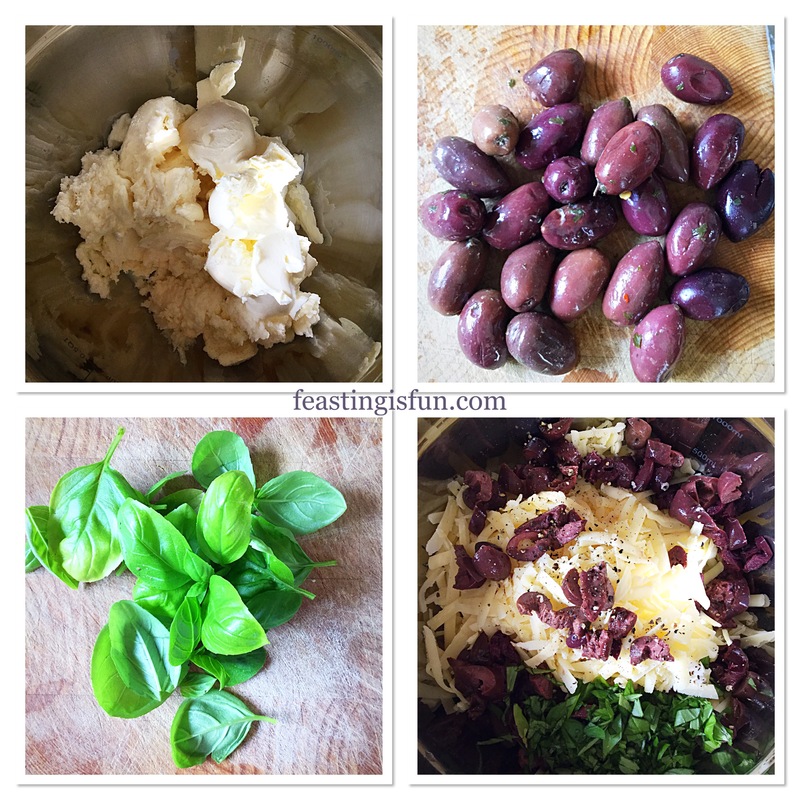 Decorate the top of the quiche with the remaining basil leaves. 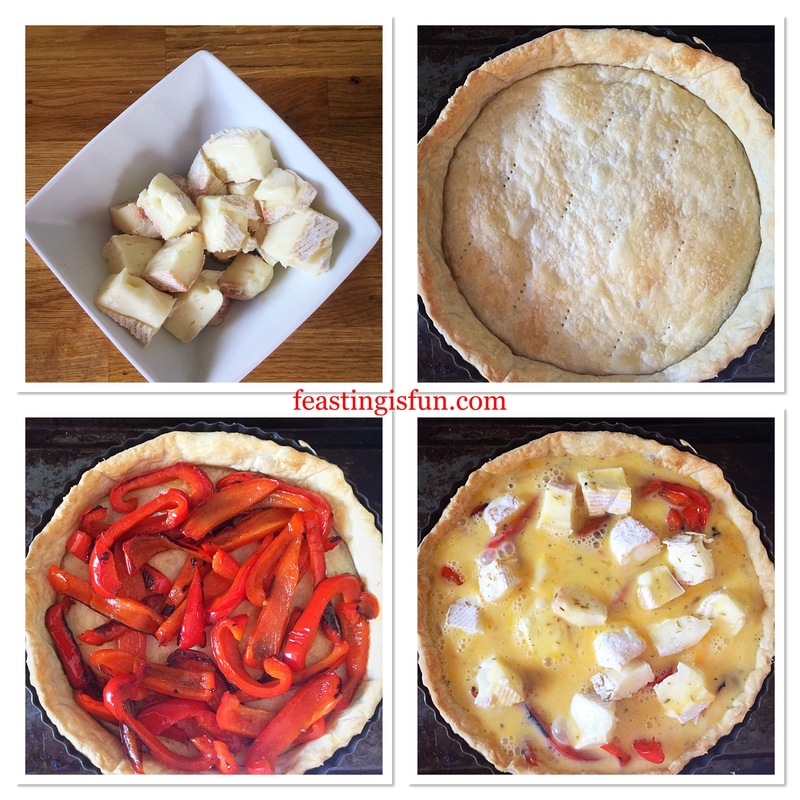 Place the quiche, still on the baking tray, into the centre of the oven and bake for 25-30 minutes. 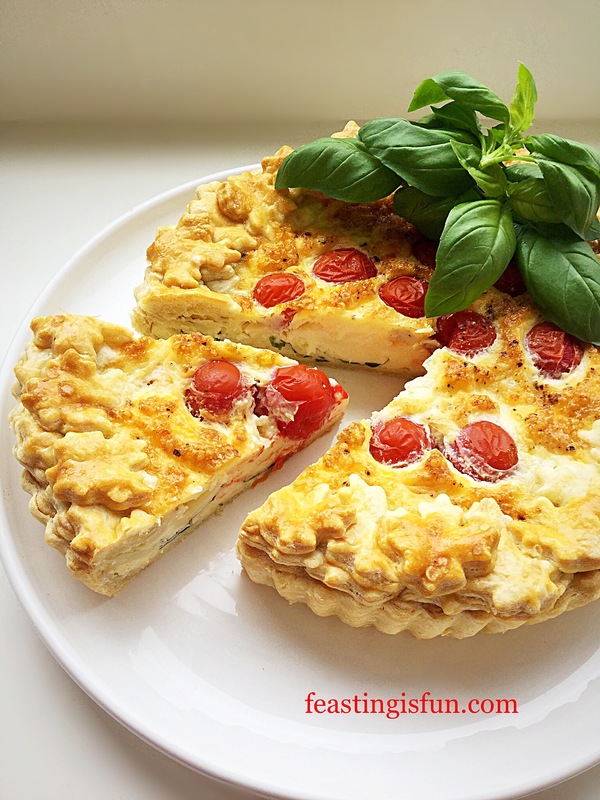 The Cheddar Tomato Basil Quiche is baked when it is golden and there is no wobble to the centre of the quiche. Once baked remove the quiche from the oven and allow to cool for 15 minutes. 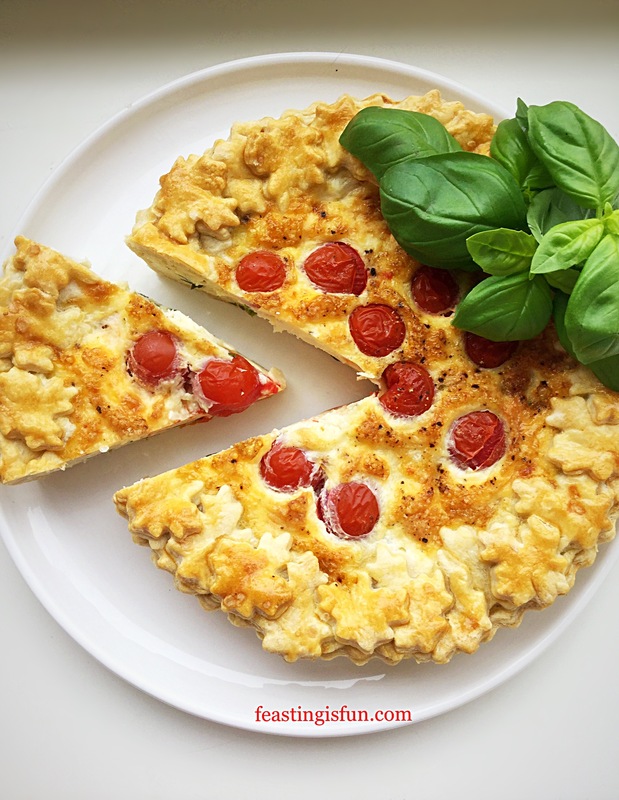 Cheddar Tomato Basil Quiche so easy to make and easy to eat. To serve slice into 6 portions. 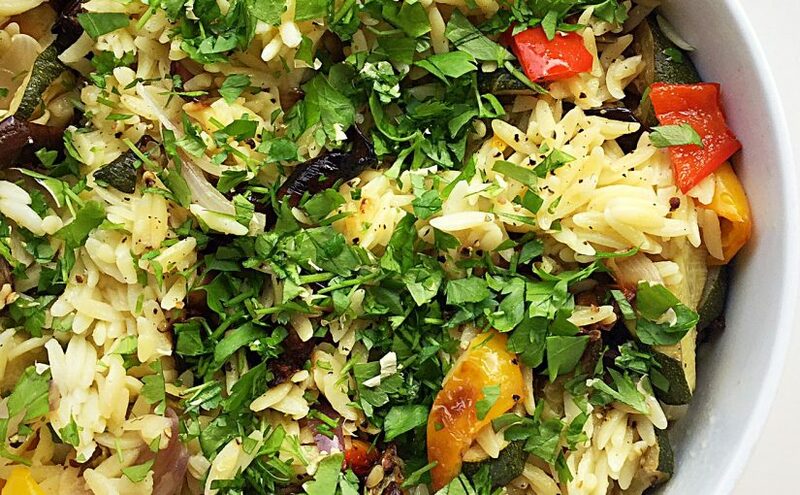 Serve warm with salad and new potatoes for a wonderful mid week meal. 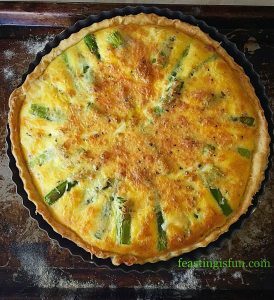 Likewise this delightful quiche is delicious at room temperature and is perfect for buffets, packed lunches, picnics and food on the go. 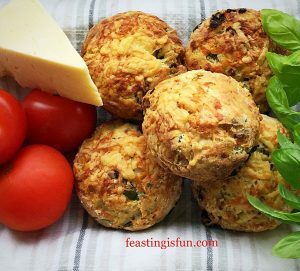 Ensure the Cheddar Tomato Basil Quiche is cold before wrapping in cling film or foil and store in the fridge for up to 4 days. Feta Red Onion Marmalade Quiche delicious layers of flavour. 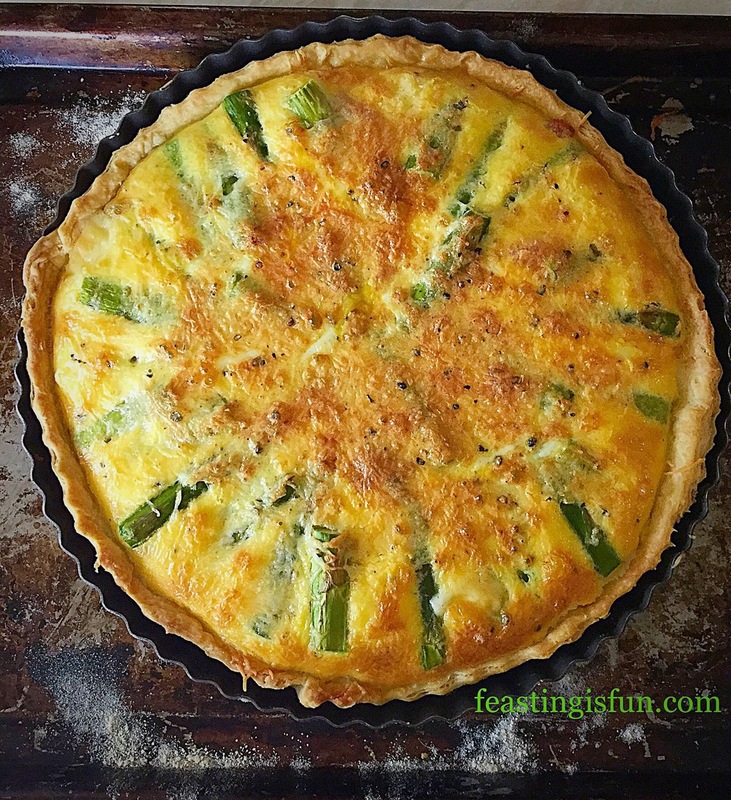 Smoked Bacon Asparagus Quiche a delightful combination of flavours. 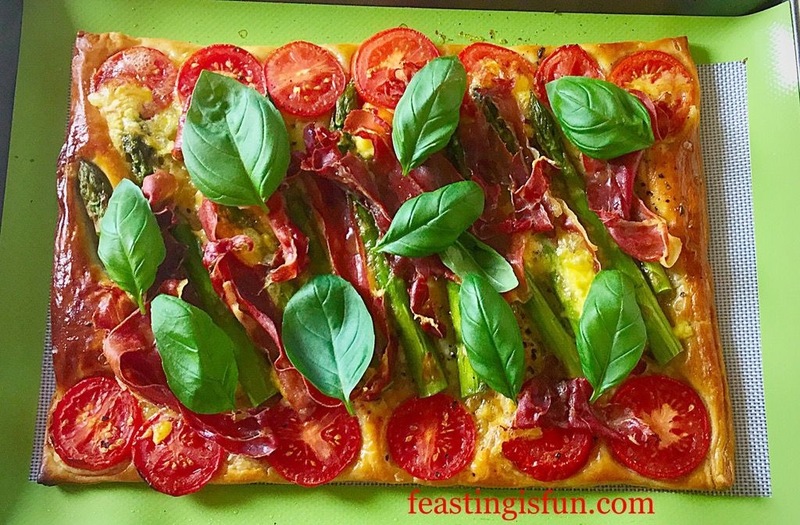 Asparagus Prosciutto Ham Tart made during a silicone baking mat review. 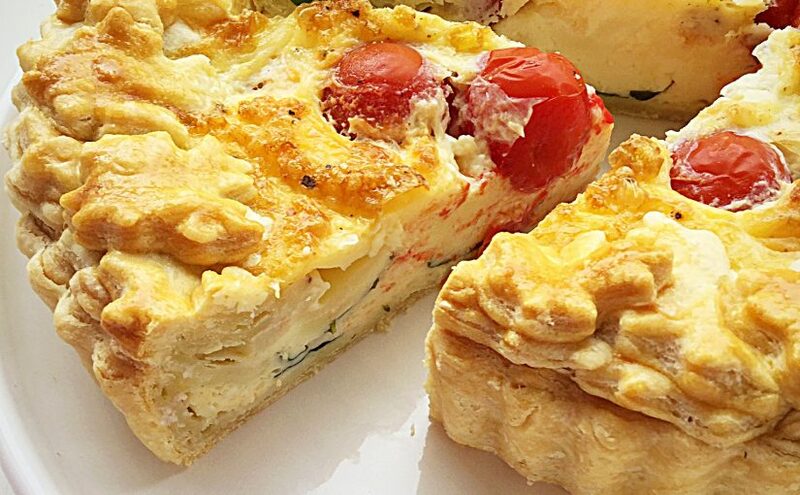 Quiches are so versatile. 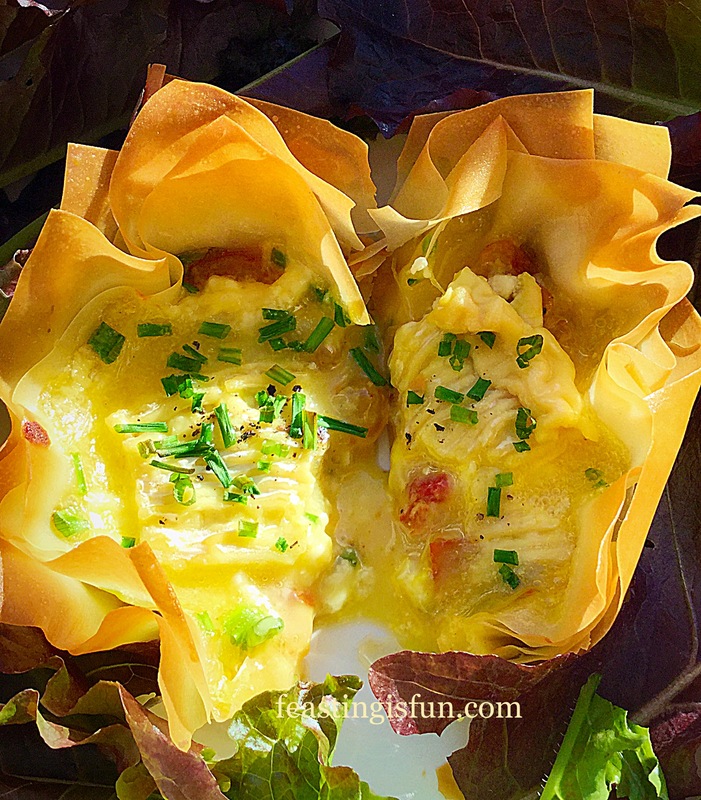 Layers of flavour can be built inside the egg tart. 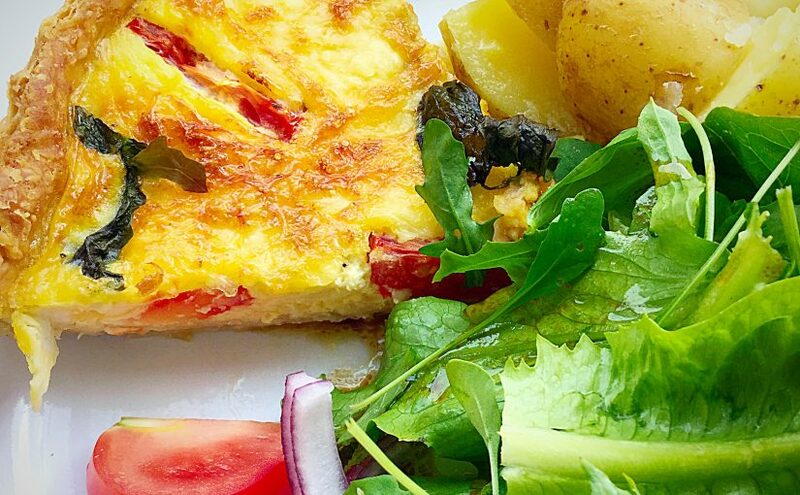 I’m particularly fond of quiches that use relish or condiments to build flavour. 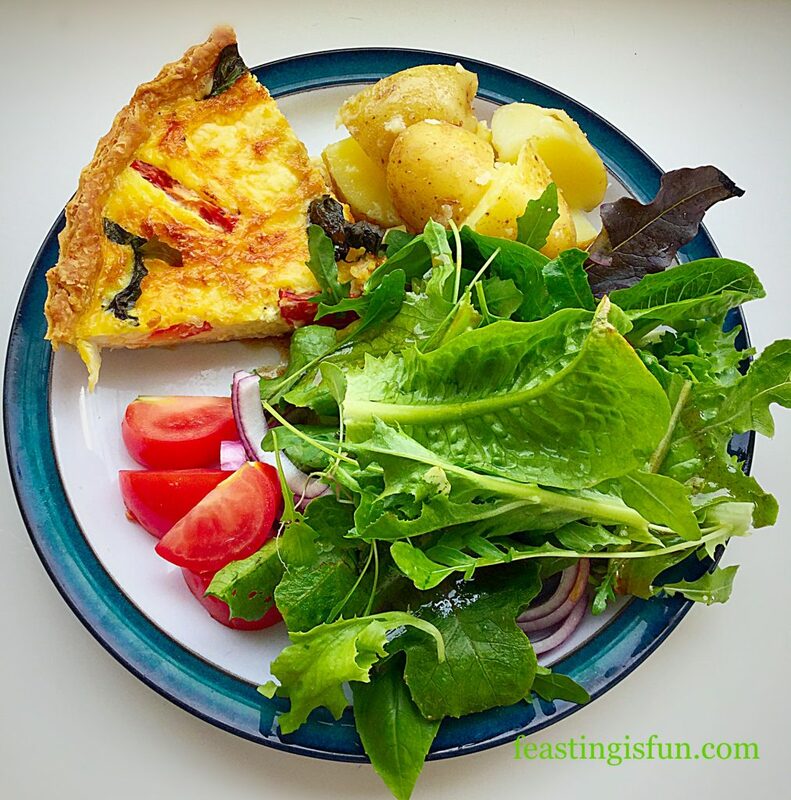 Likewise fresh herbs can really lift the flavour of a quiche. 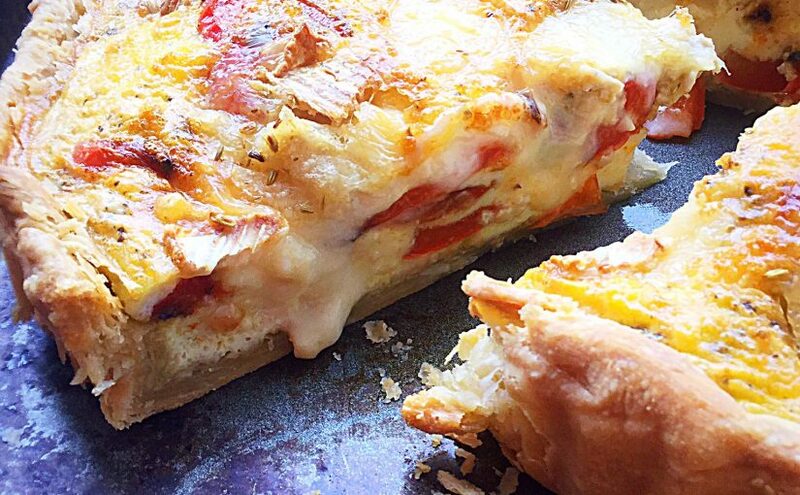 The basil in this Cheddar Tomato Basil Quiche turns a good quiche into a great one. 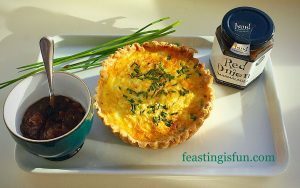 Play around with fresh herbs and good quality chutneys or relishes in your baking, especially in quiches. Their flavour can really add depth or freshness to the resulting flavour. 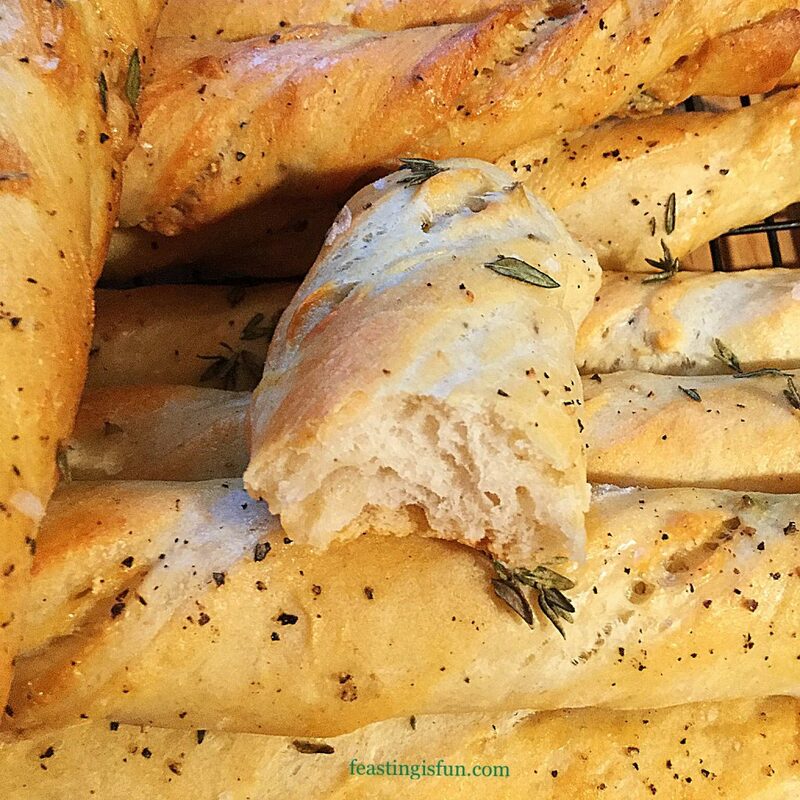 Whatever you are making, baking and creating in your kitchens, have fun creating your feast to share with others. Thank you for sharing photos of your amazing creations on Twitter and Instagram and for taking time to leave comments. 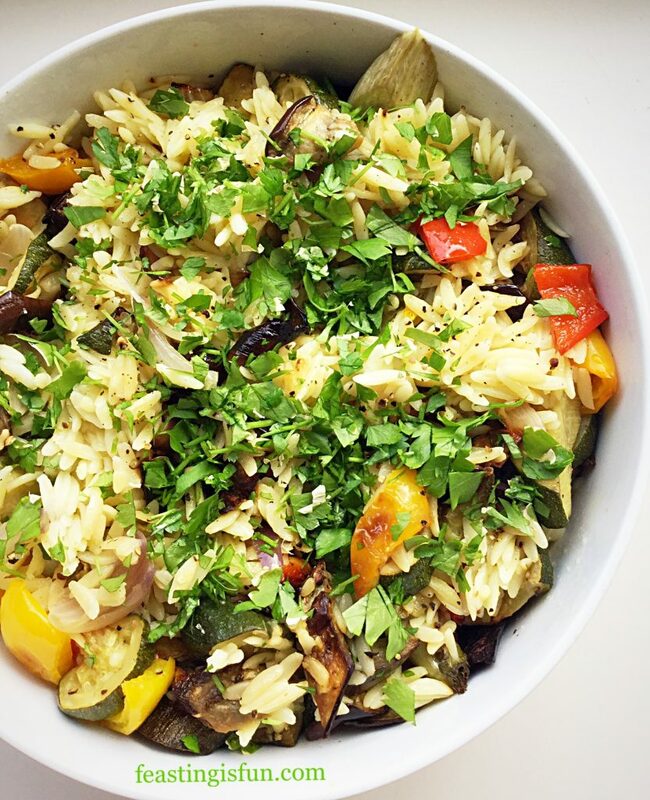 It really makes my day to see what you come up with and how you interpret my recipes.